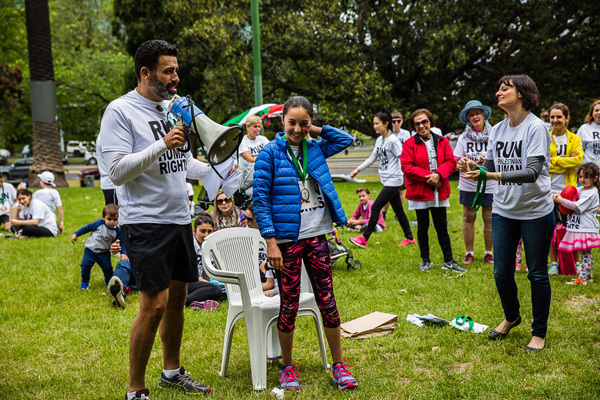 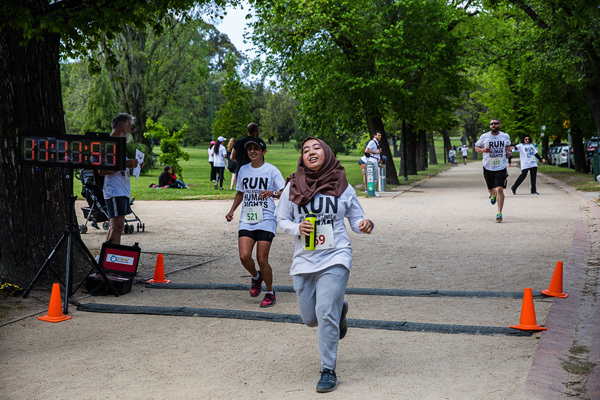 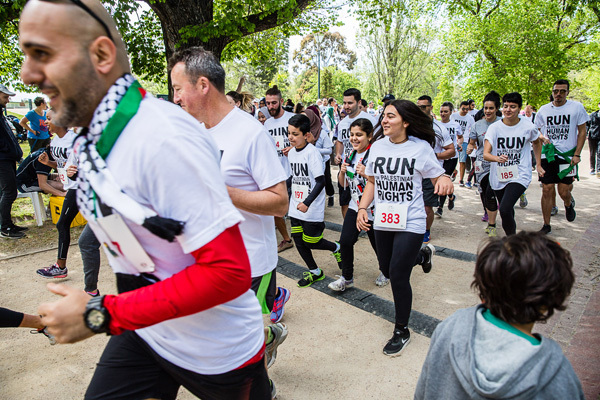 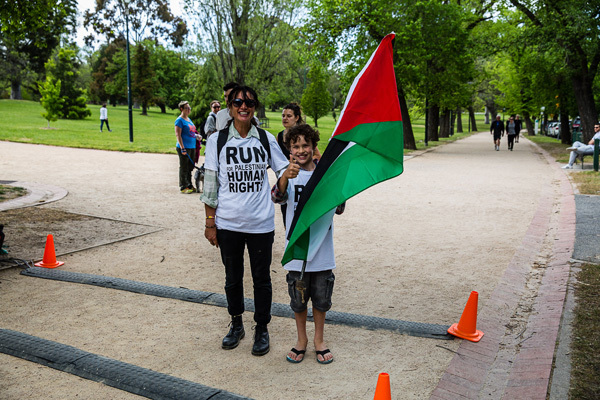 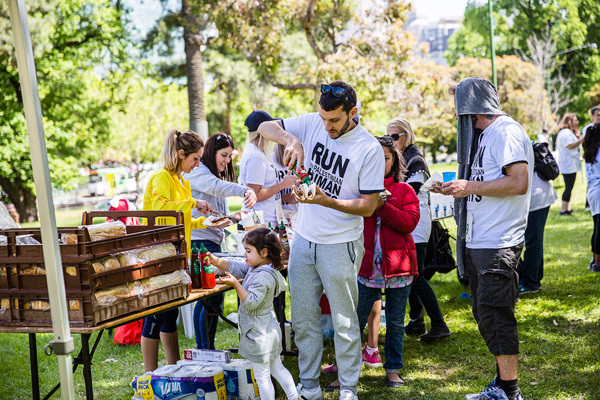 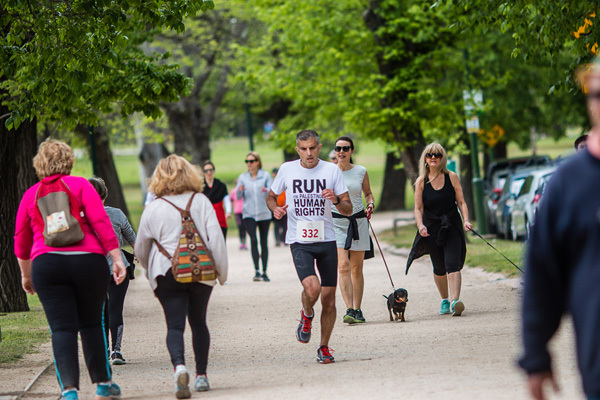 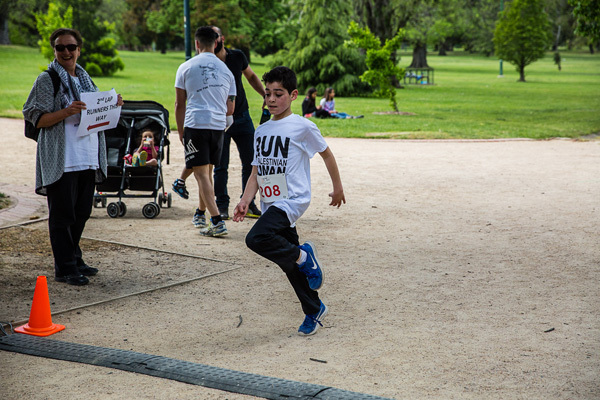 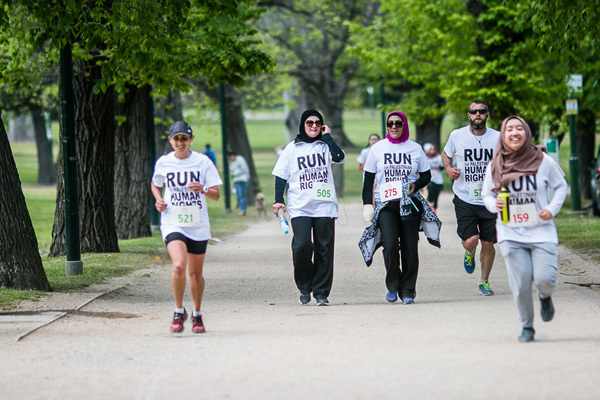 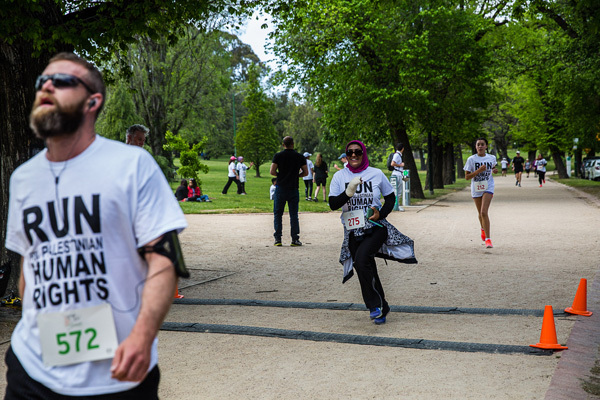 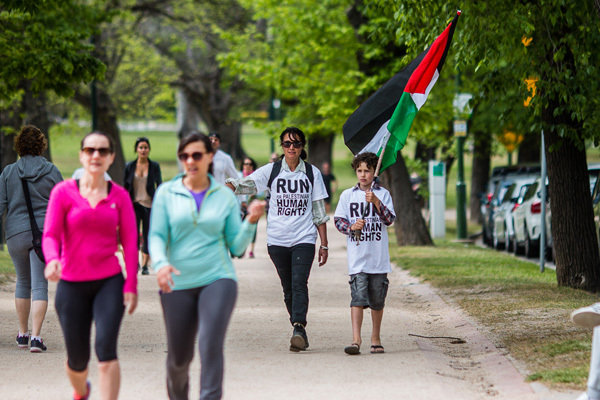 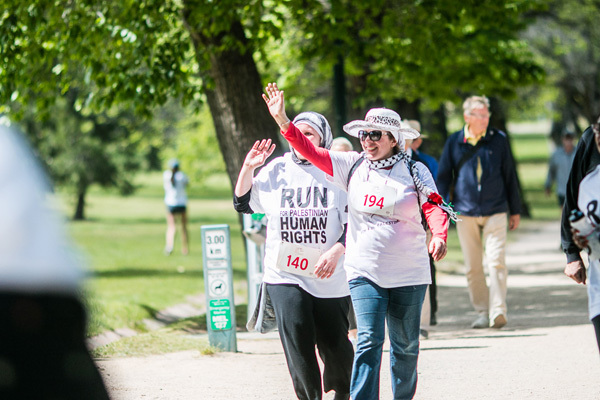 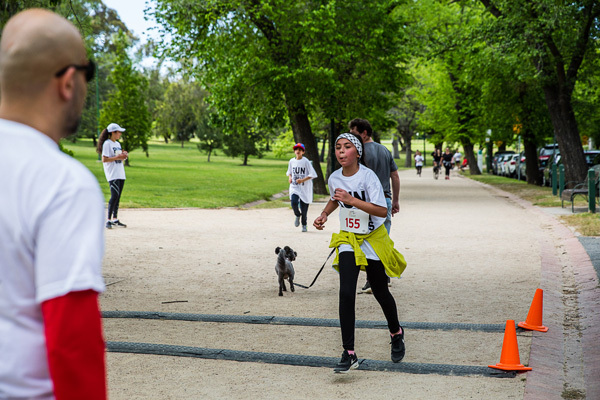 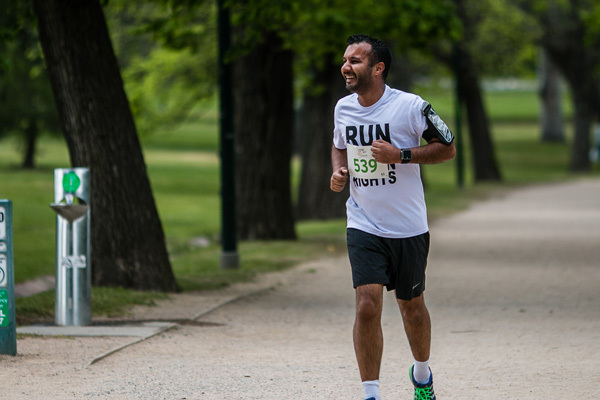 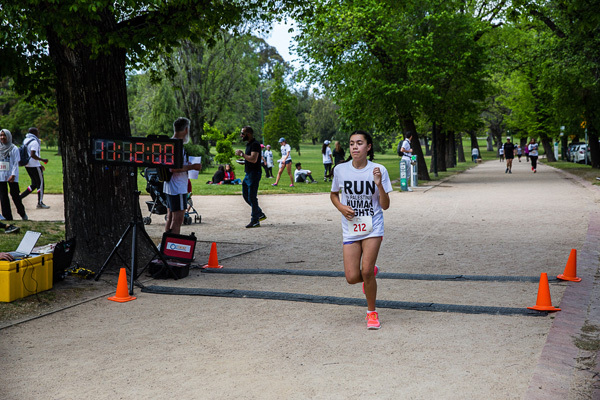 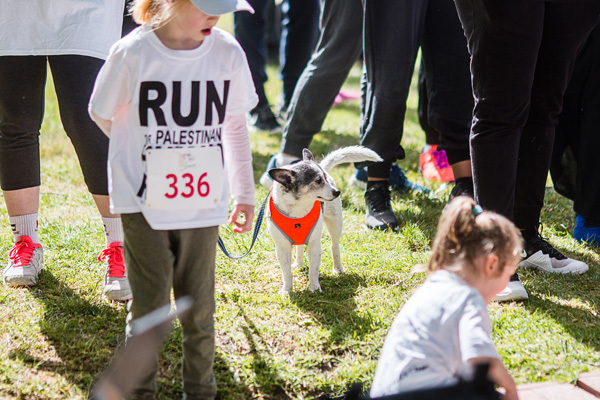 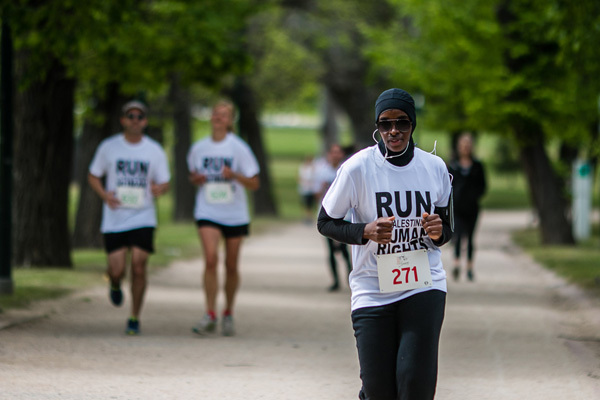 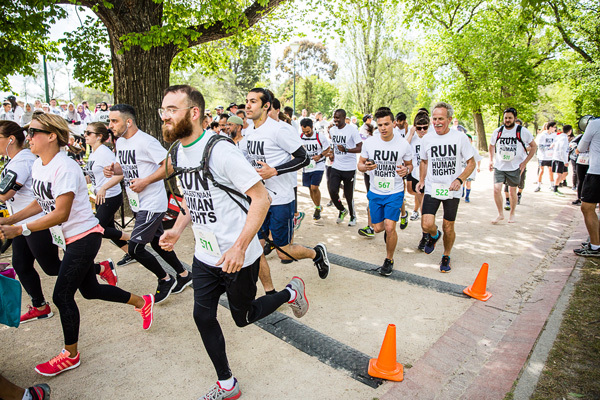 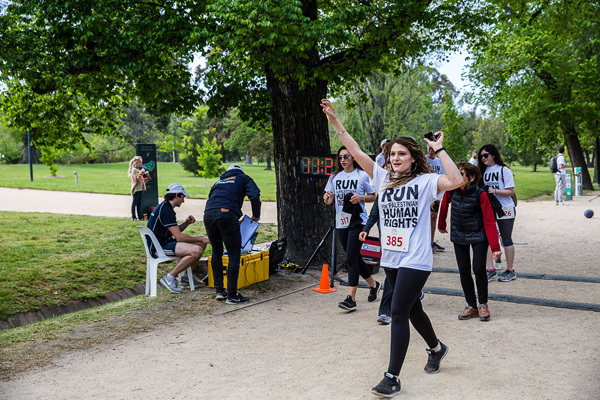 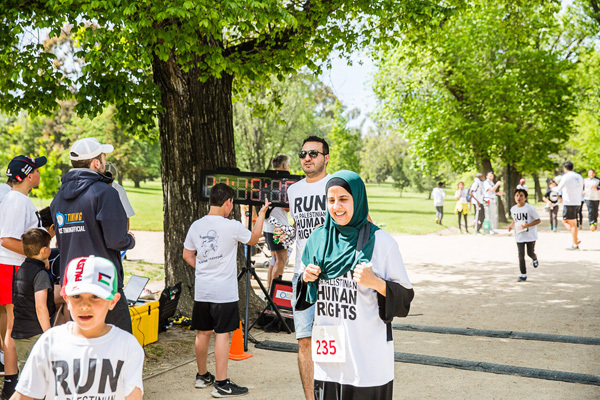 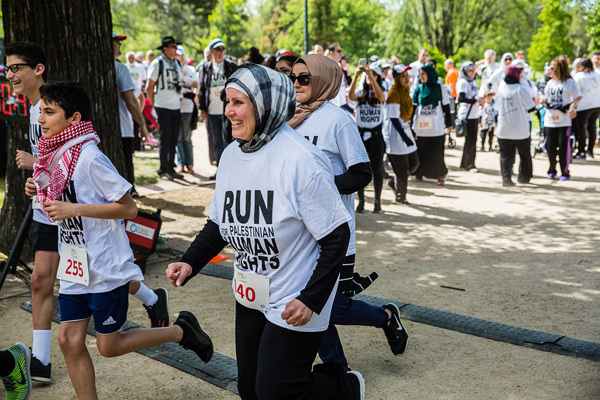 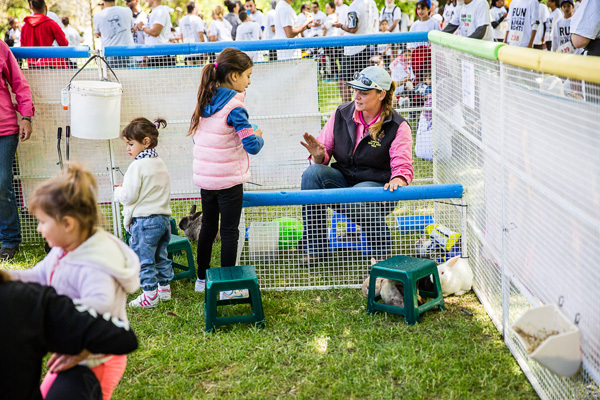 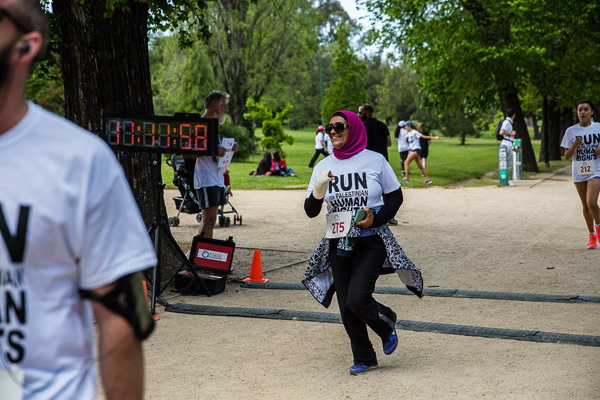 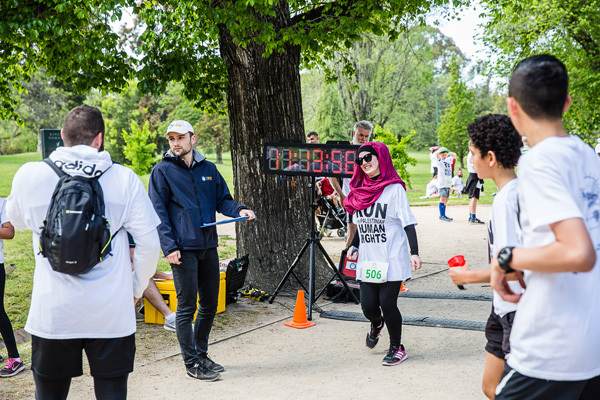 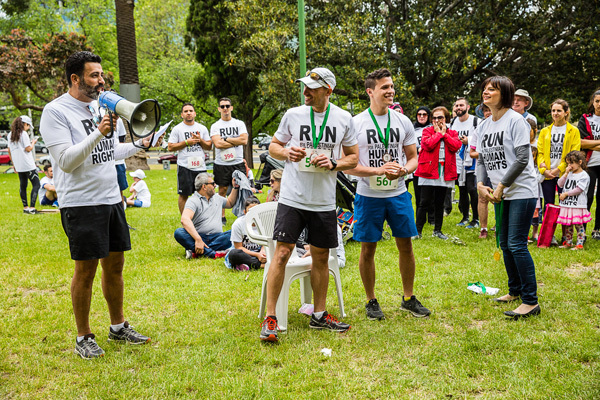 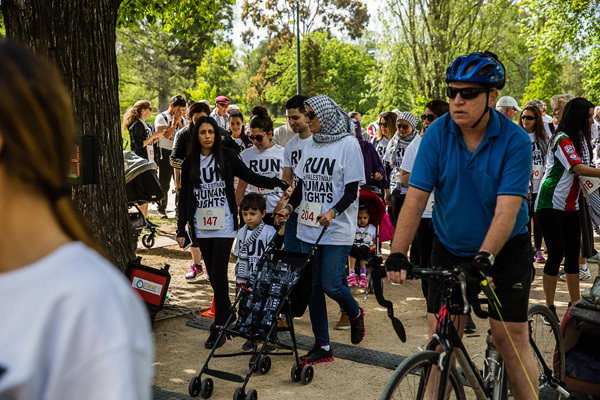 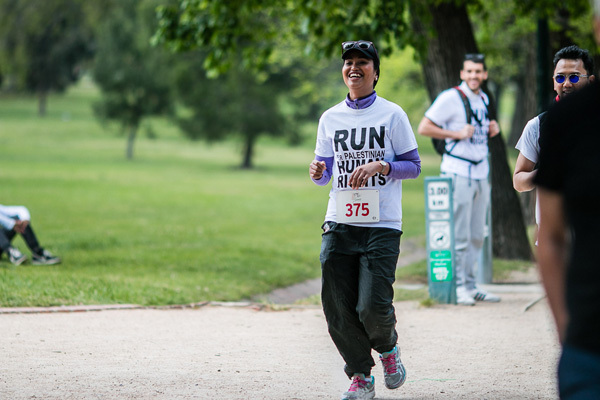 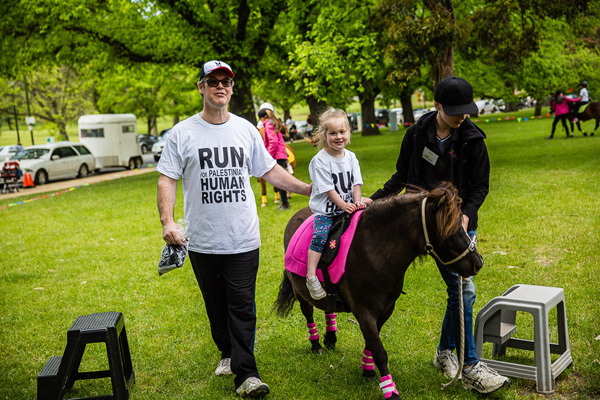 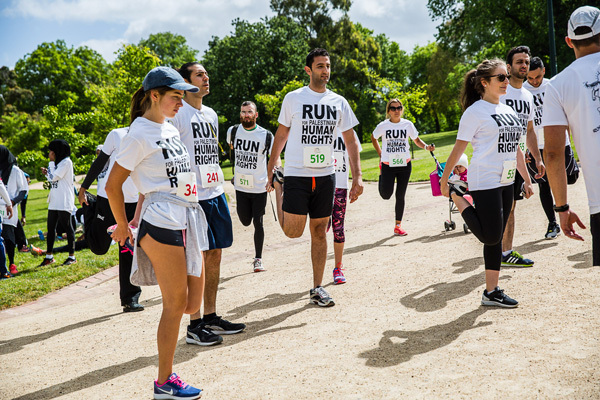 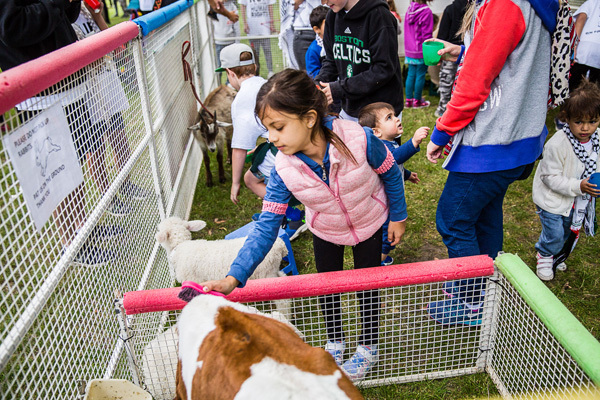 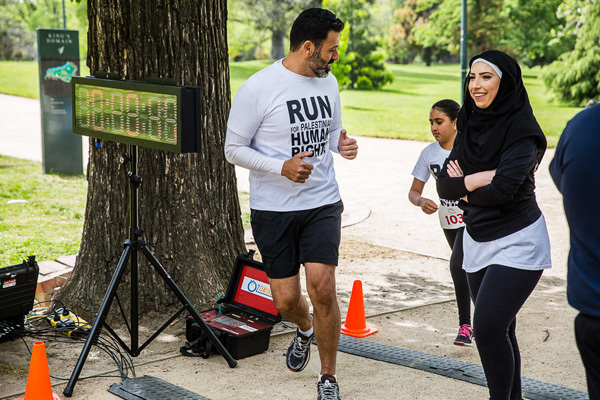 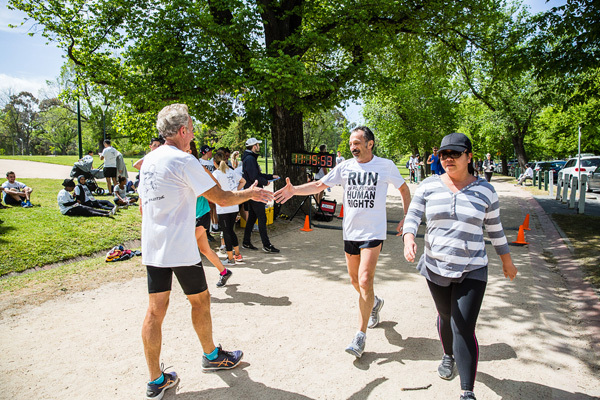 Every year we worry about the weather for Melbourne’s Run for Palestine, and with the particularly unseasonal squally, wet spring weather we have been having, there was good reason to worry. 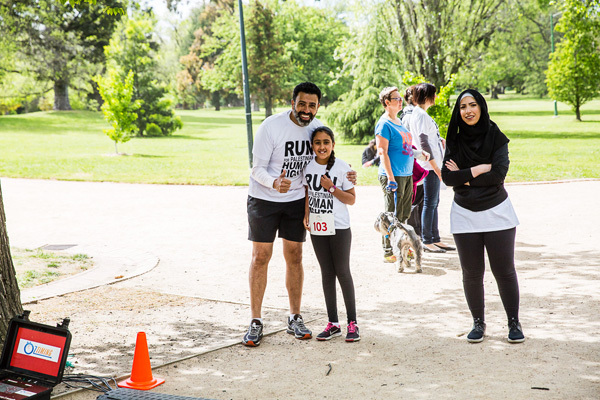 But like every other run, we were blessed with mild, pleasant conditions – just perfect for runners! 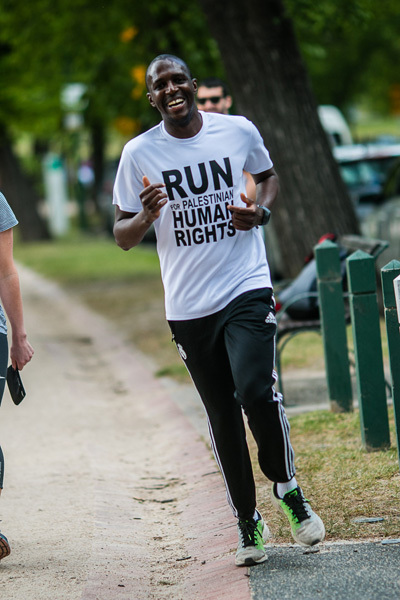 What a gorgeous Melbourne day it was on every level. 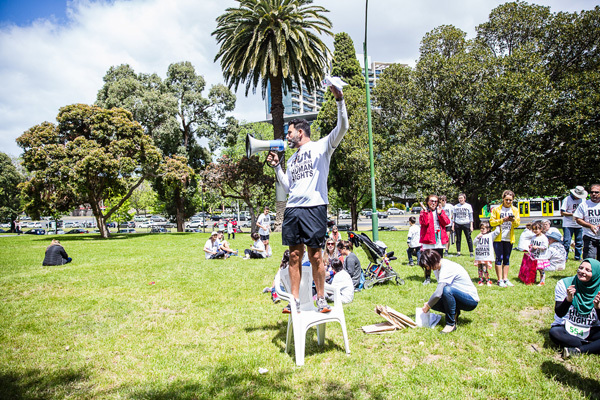 With 650 people taking part, we had our best event ever, taking us to new fund-raising heights with a total of $51,000. 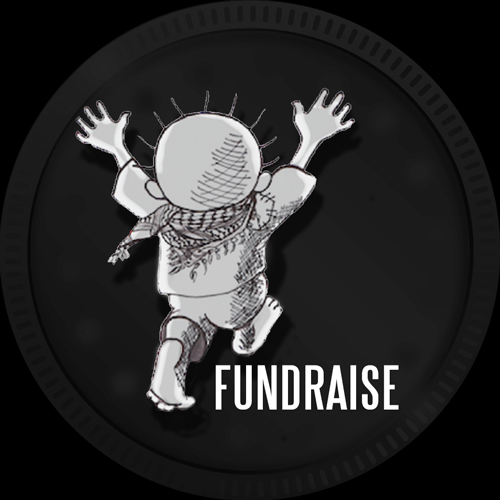 We are so pleased that we can give $17,000 to our usual fund, Palestine’s Red Crescent Society in Gaza helping handicapped children, and the rest – $34,000 – will go to the much-needed building fund for the Olive Kids wing of Al-Amal Orphanage. 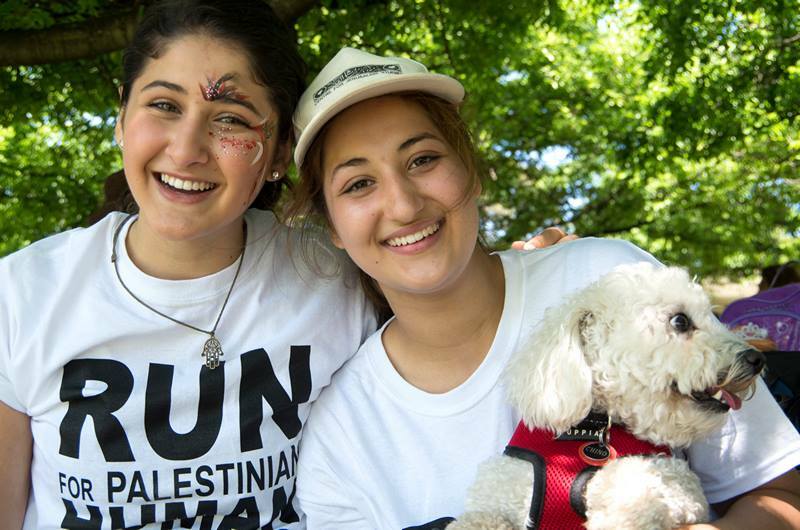 Our most appreciative thanks one and all for making this possible. 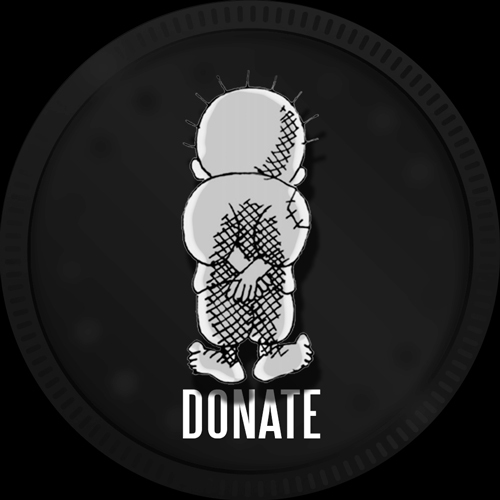 And just in case anyone still wants to donate, it is not too late. 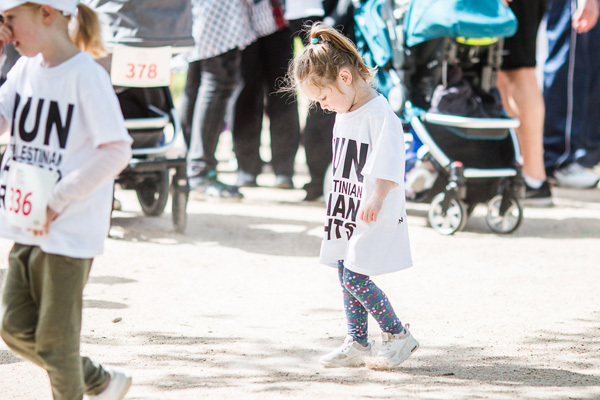 You can do that HERE. 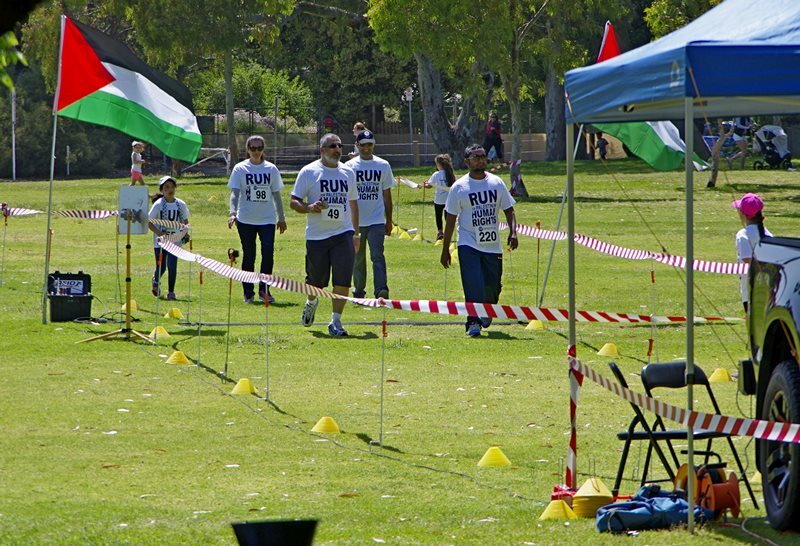 As you can see, the cause is a worthy one. 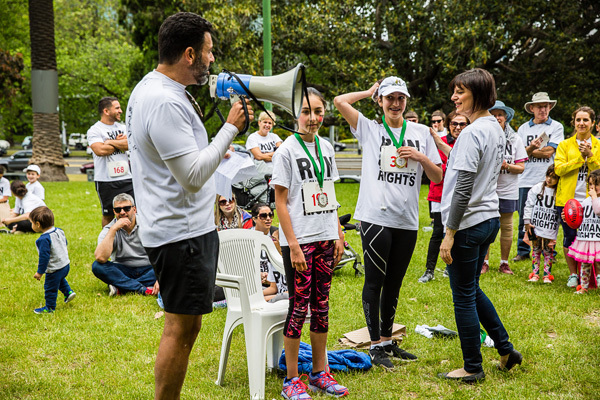 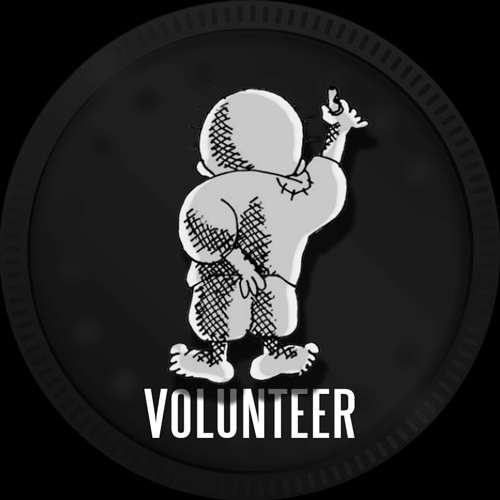 We would particularly like to encourage our supporters to use the everydayhero platform for any fundraising activities. 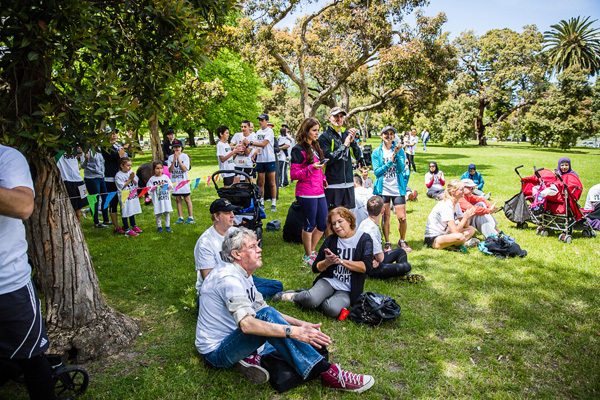 It is a wonderful way to inspire family and friends to share in events aimed at special causes you most care about. 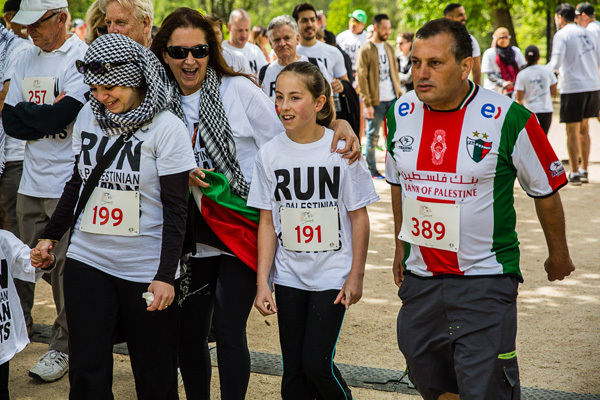 It certainly helped us to boost our fund-raising for Palestine which is why we would love you all to take the time to set up pages for next year’s run. 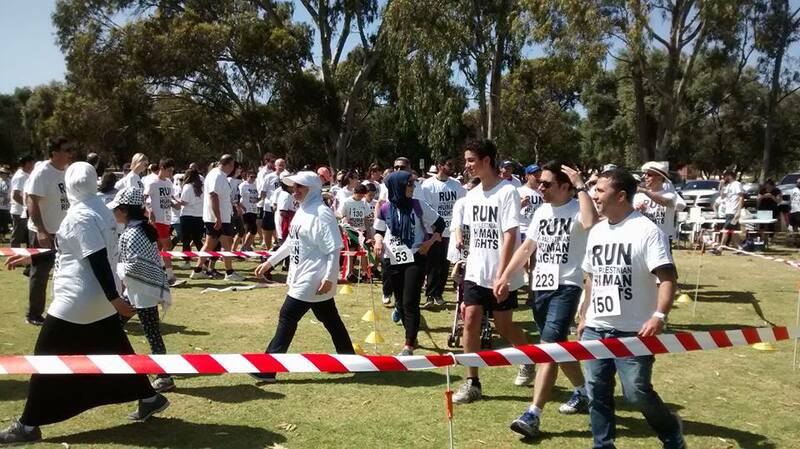 Just think, if 200 people set up a page and raised $500 each we could raise an extra $100k for those children in Gaza. 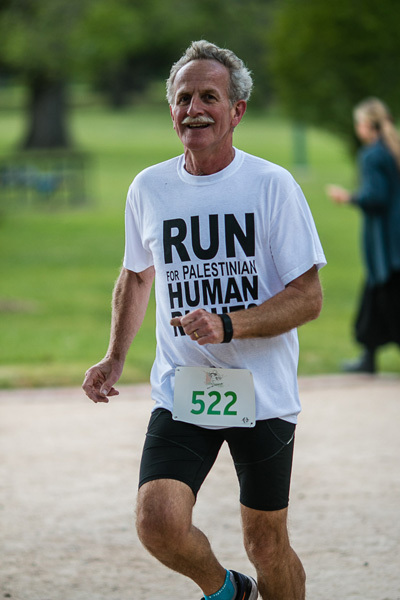 It is within all our capabilities to do that with a minimum of effort. 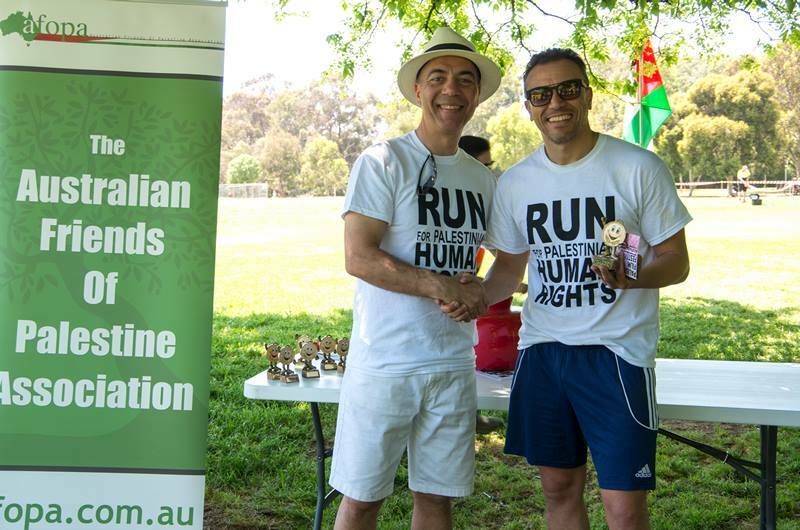 An exciting development this year was Australian Friends of Palestine Association (AFOPA) deciding to hold their own Run for Palestine in Adelaide on the same day as ours. 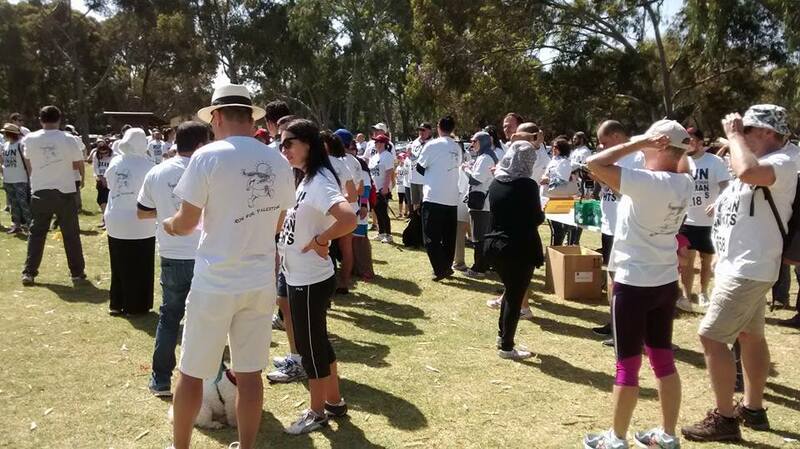 They too had a fabulous day weatherwise that brought with it a great turnout and gratifying donations. 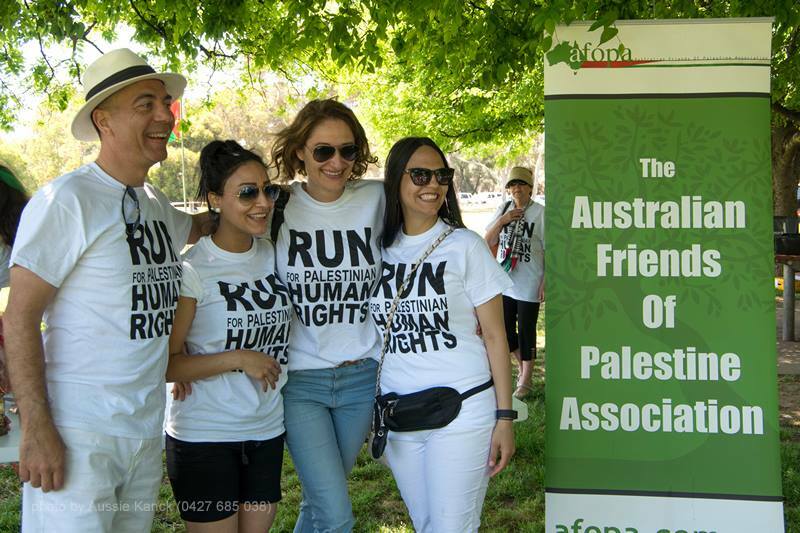 For more details visit the AFOPA website. 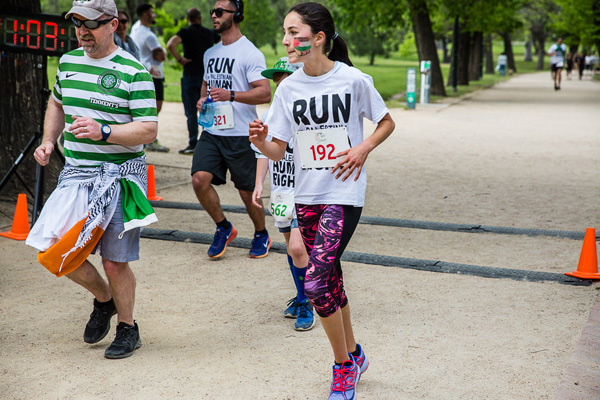 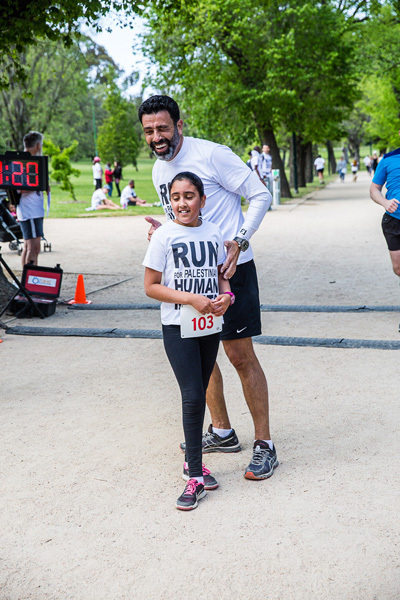 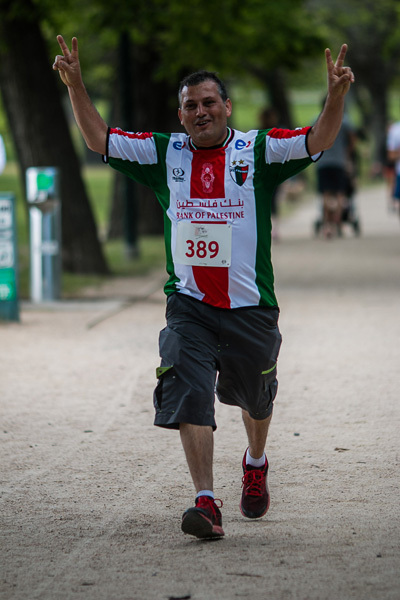 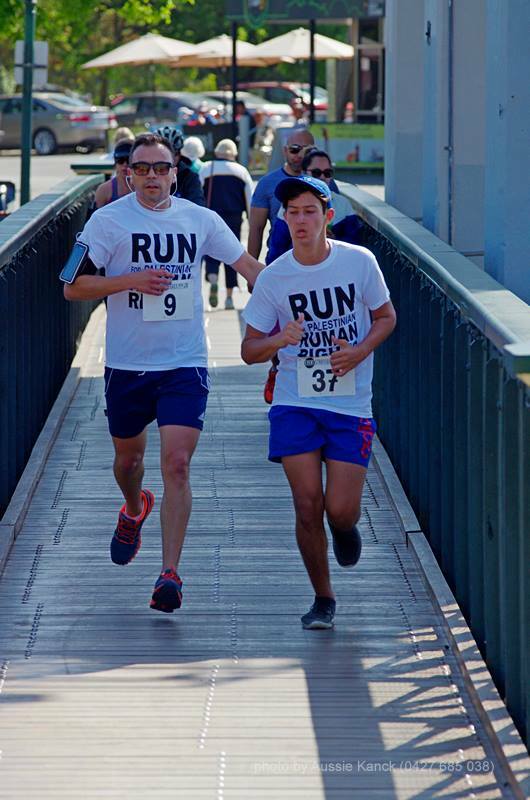 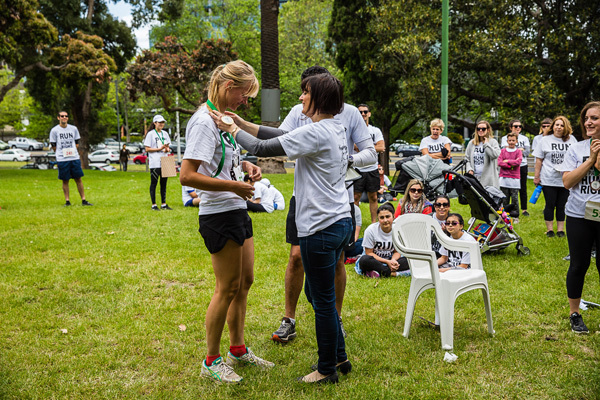 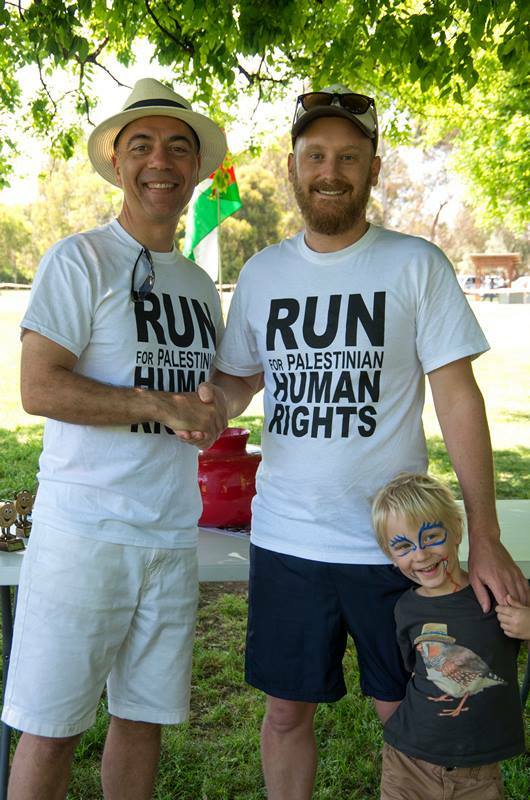 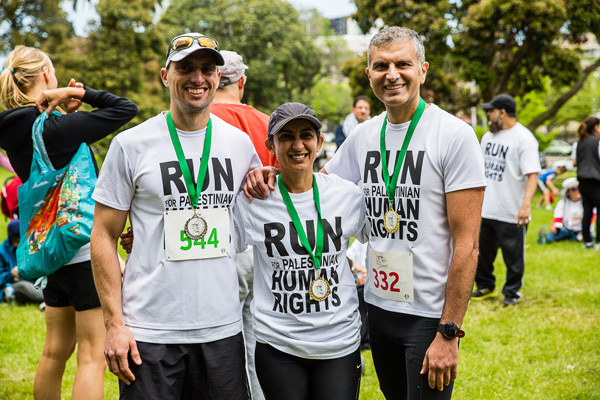 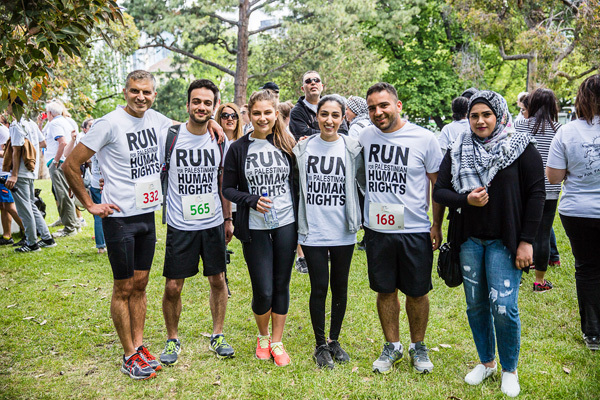 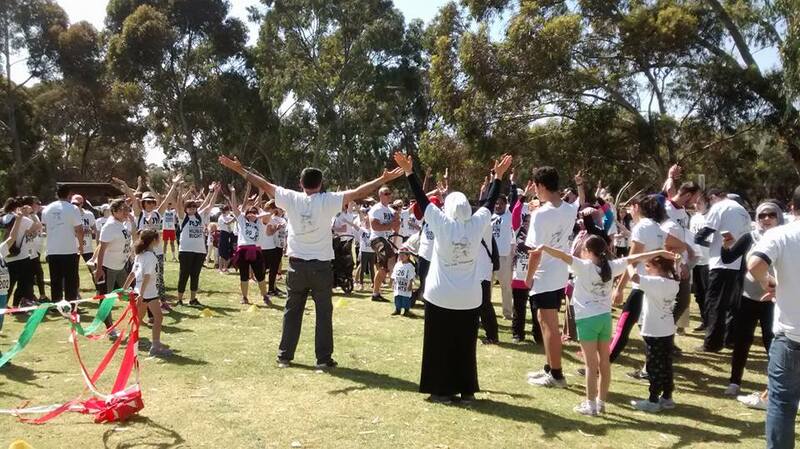 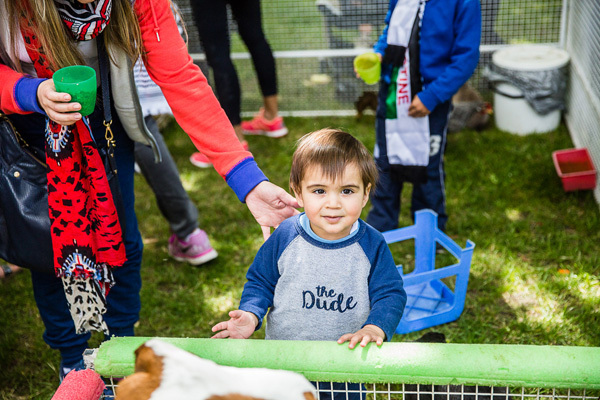 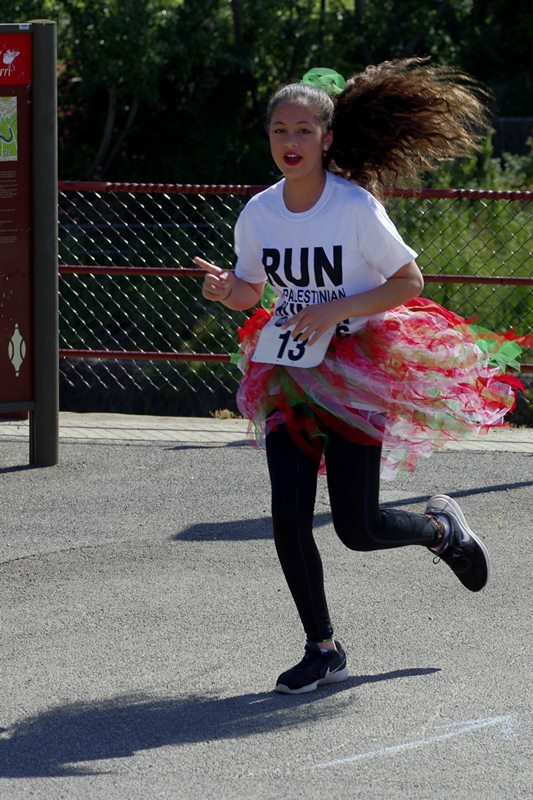 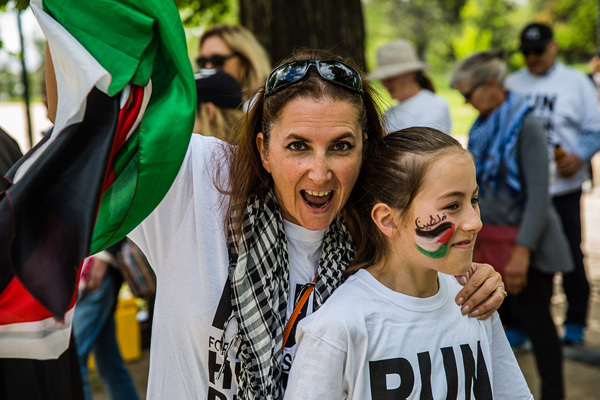 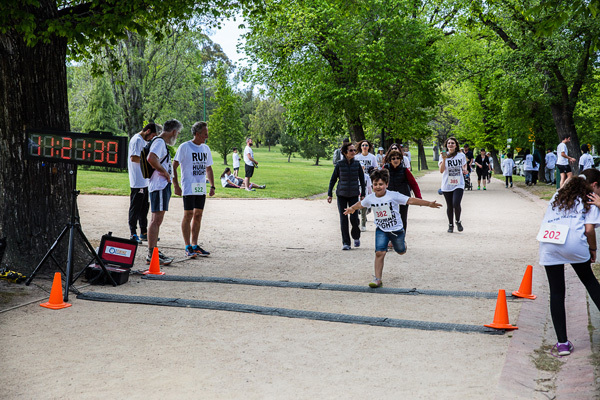 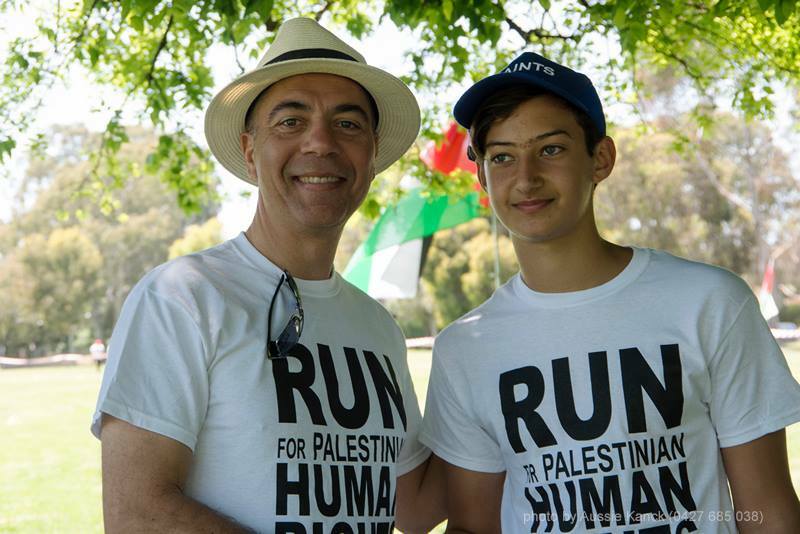 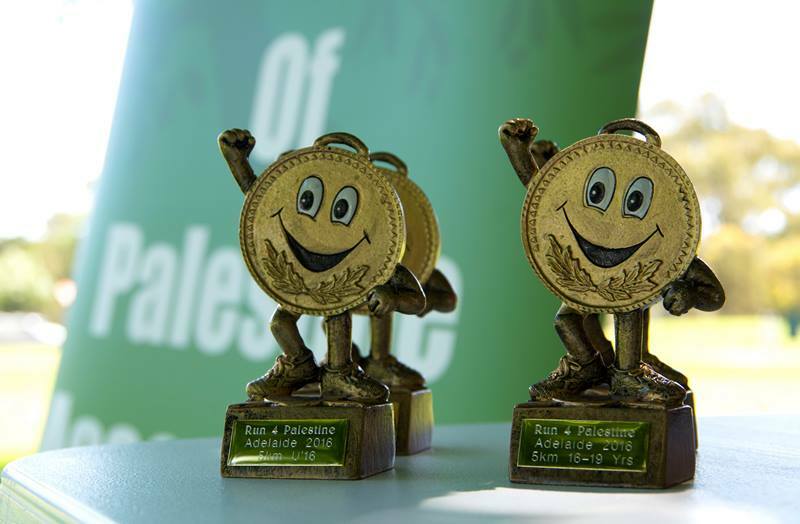 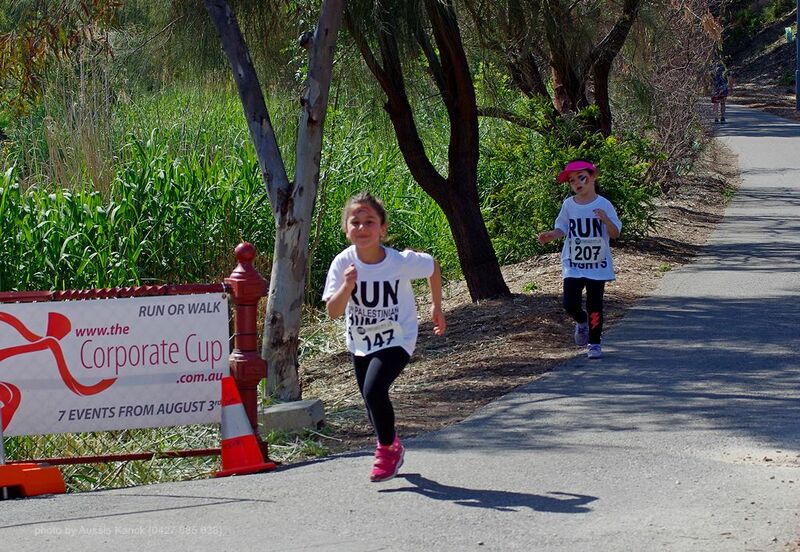 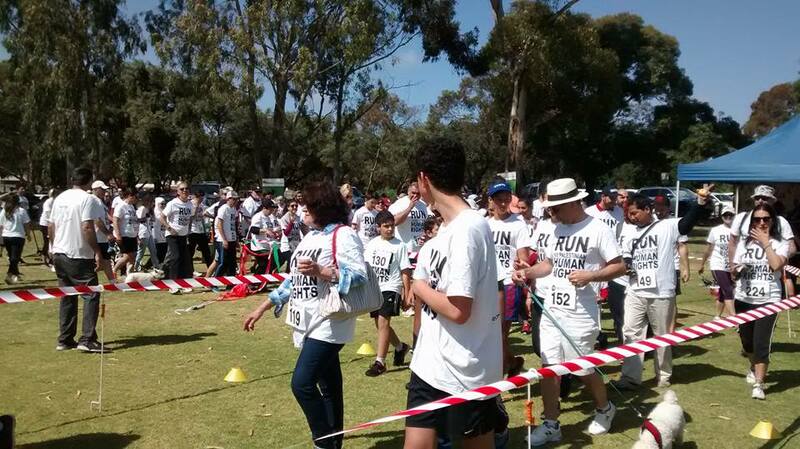 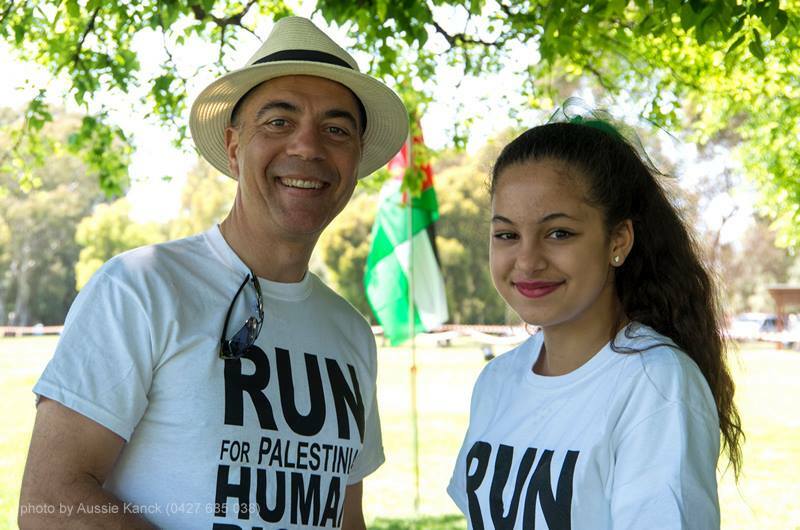 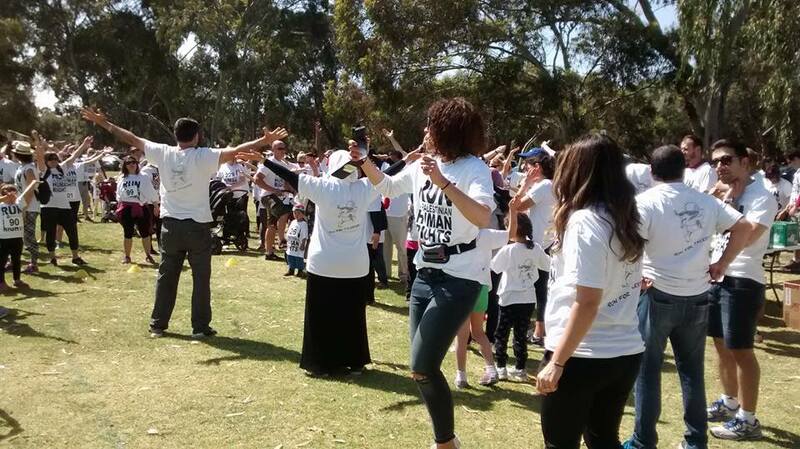 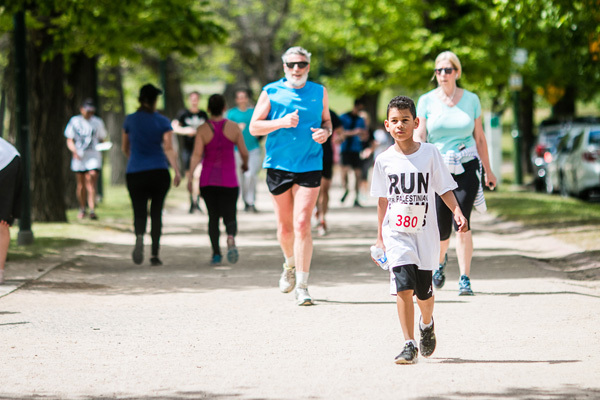 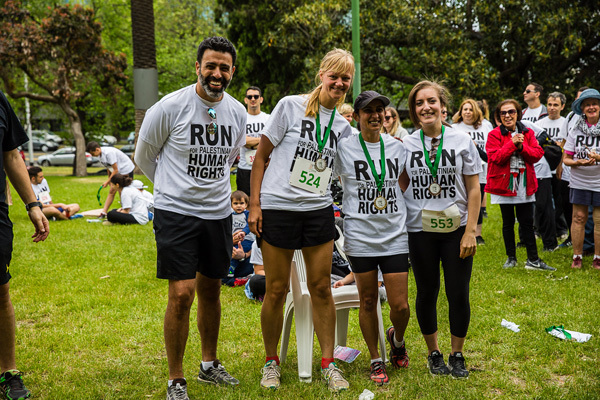 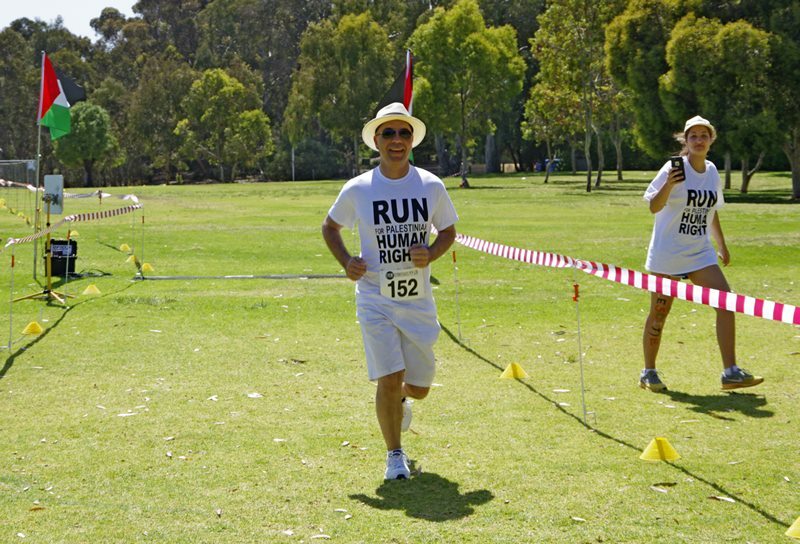 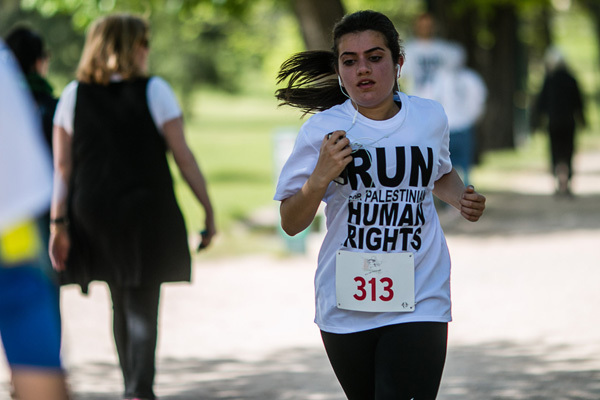 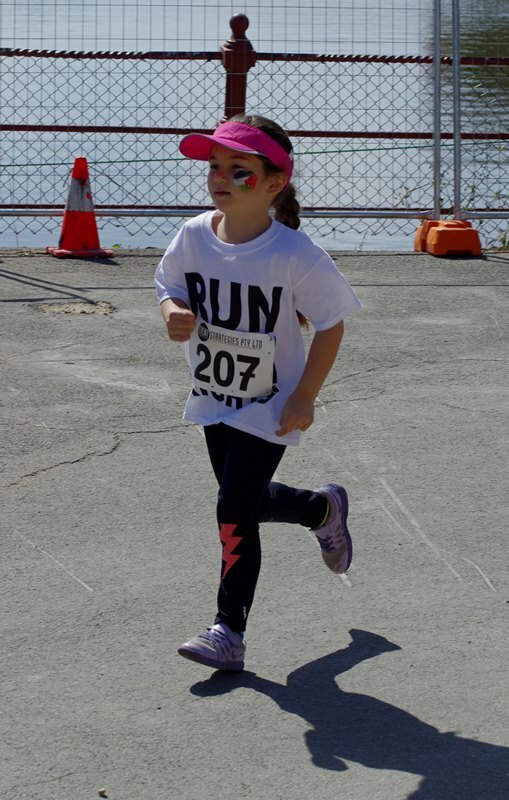 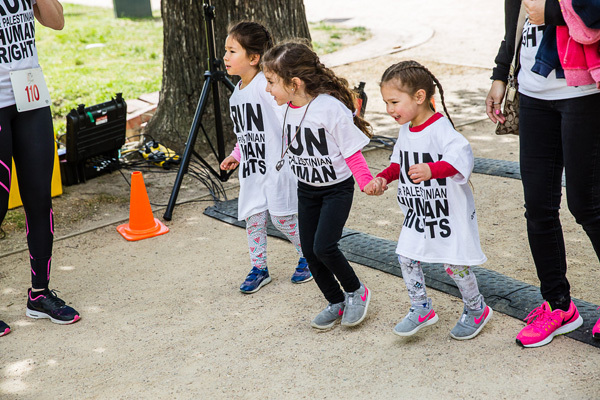 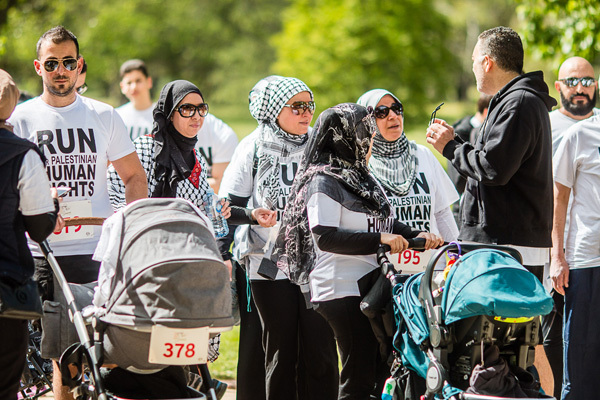 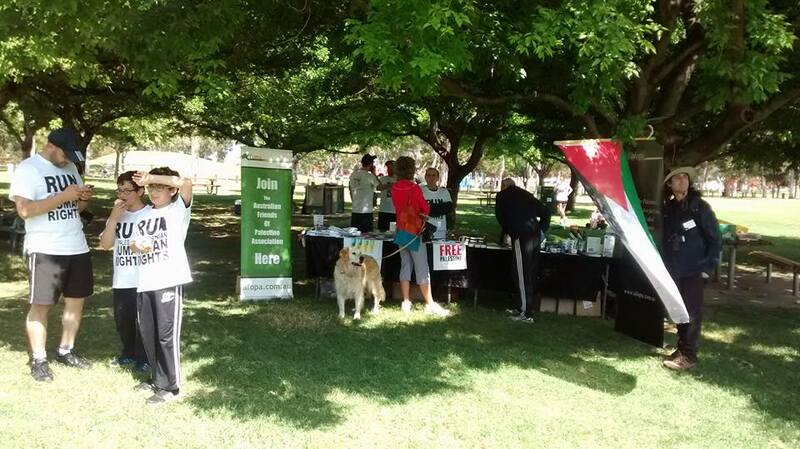 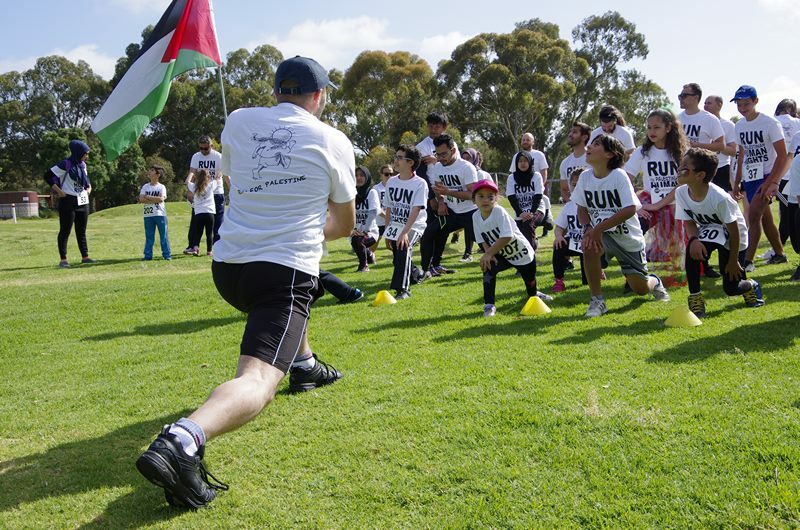 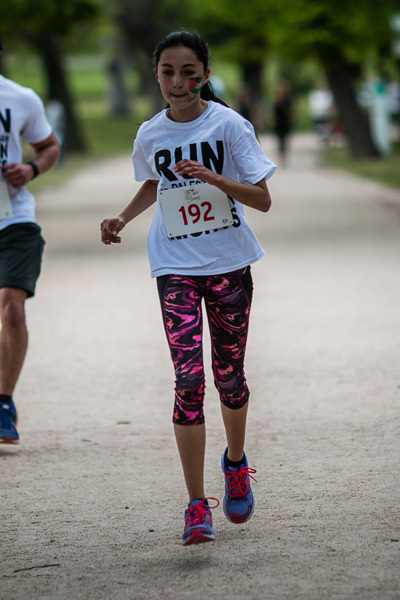 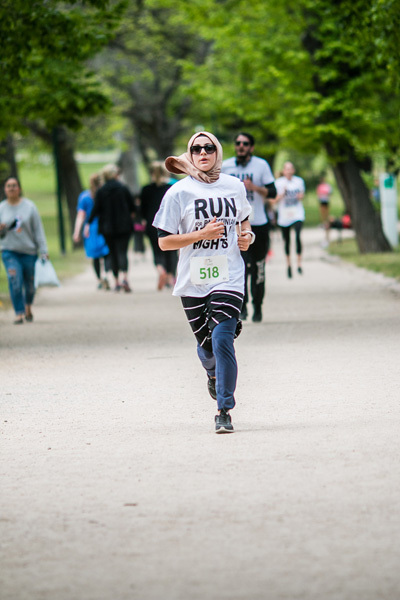 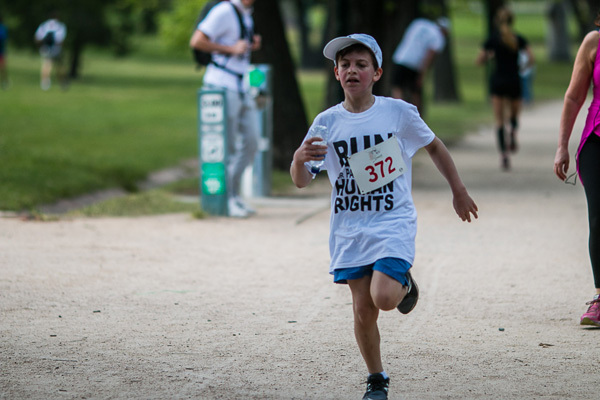 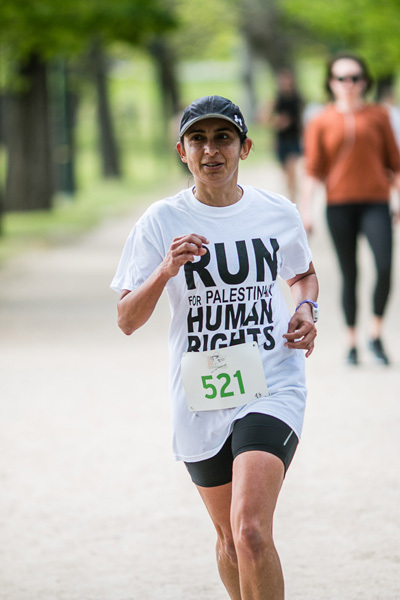 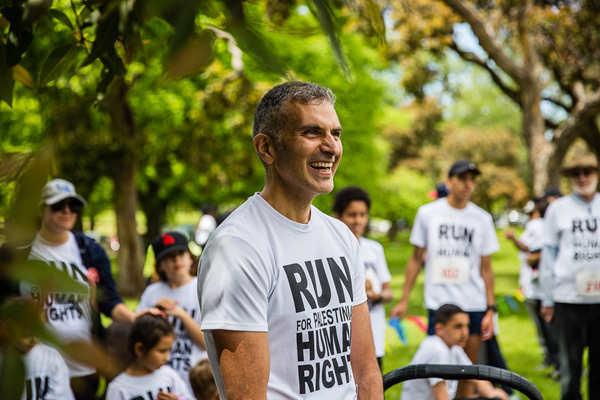 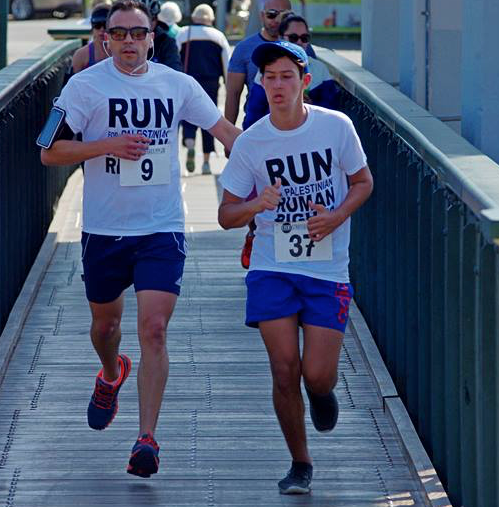 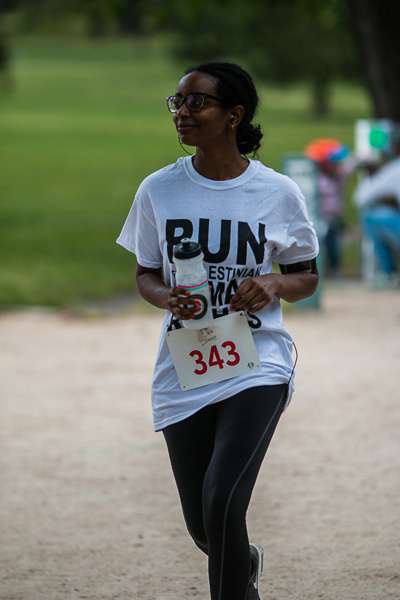 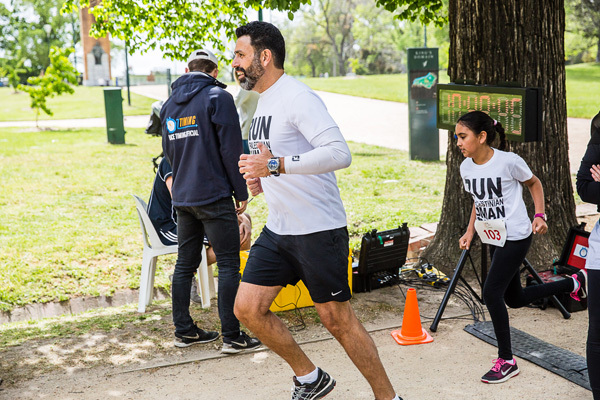 Run for Palestine is certainly a family fun day and a chance for people to show their running prowess, but more importantly, it brings people together for Palestine. 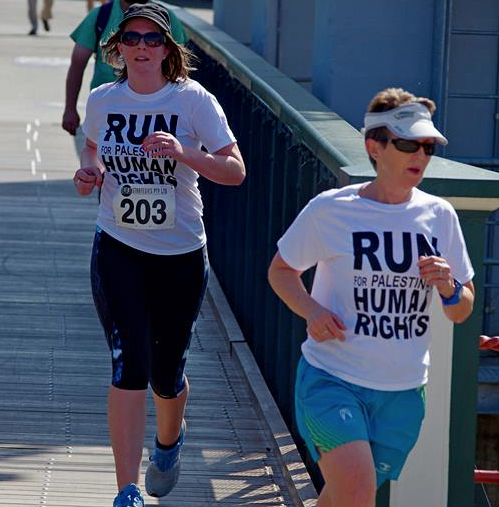 It is a way to use our freedom to help those who endure oppressive restrictions on their freedom. 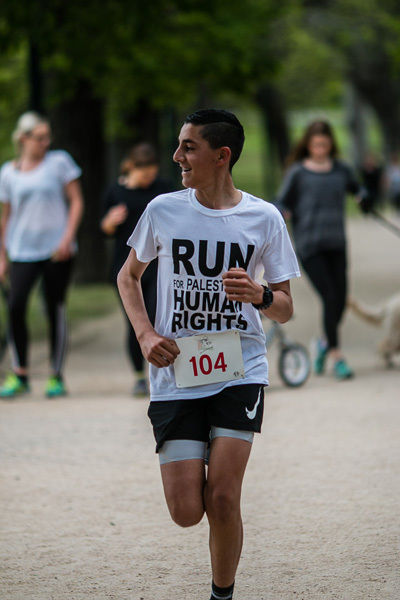 It is a way to show that we care for the children who have had their families cruelly taken from them leaving them alone in what often seems to them a hopeless existence, and also, to help those children who suffer terrible disabilities from past merciless attacks on Gaza. 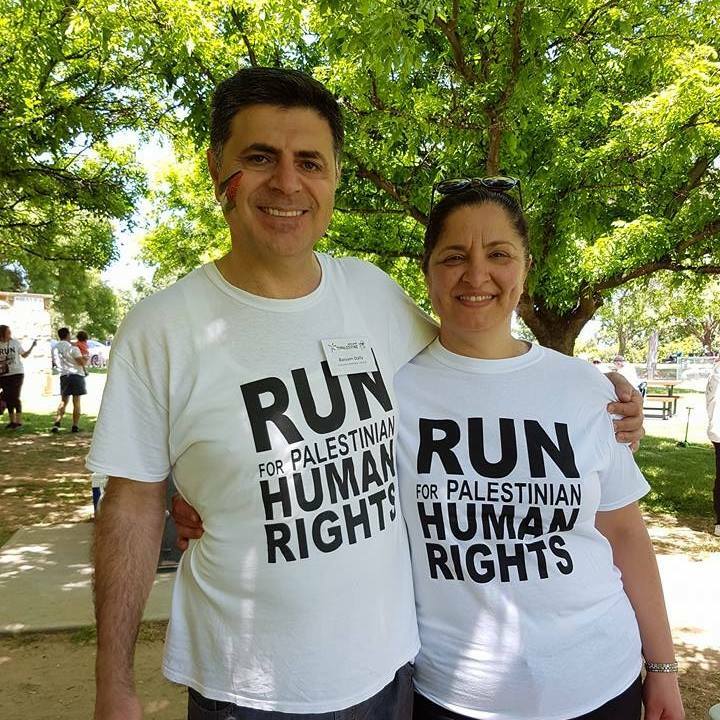 Australians for Palestine (AFP) and Australian Friends of Palestine (AFOPA) are two of many groups worldwide seeking to make a difference for the Palestinians blockaded in Gaza and to tell them that they are not forgotten. 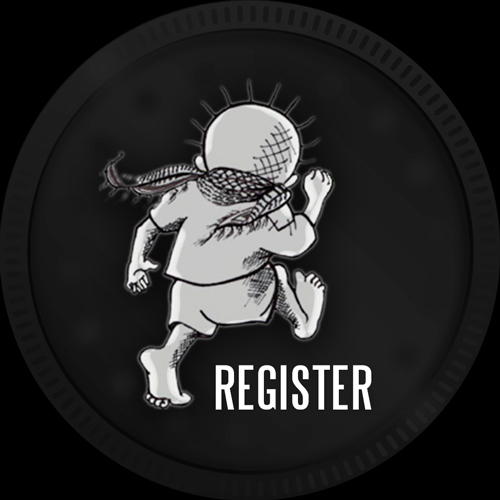 The more activities we can do to get people involved, the more awareness can be raised about the Palestinians’ intolerable situation. 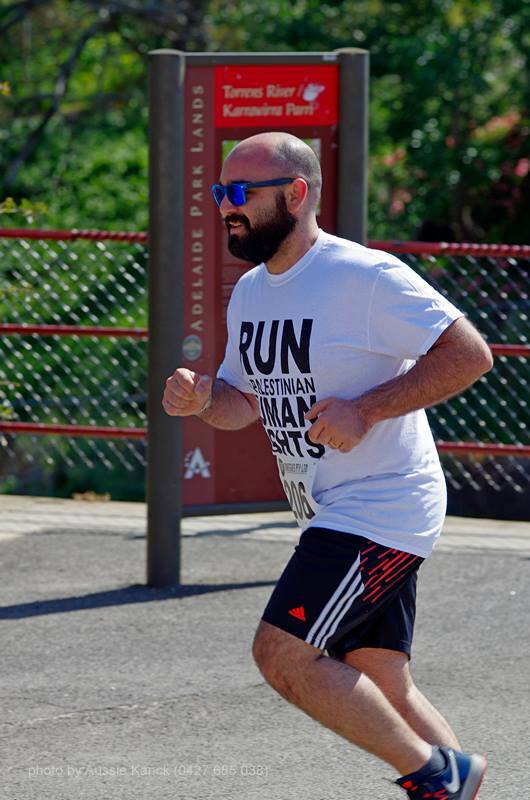 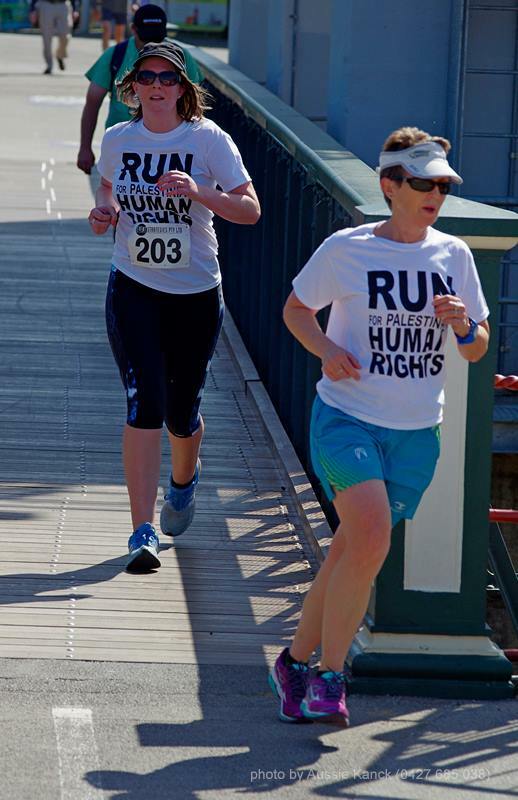 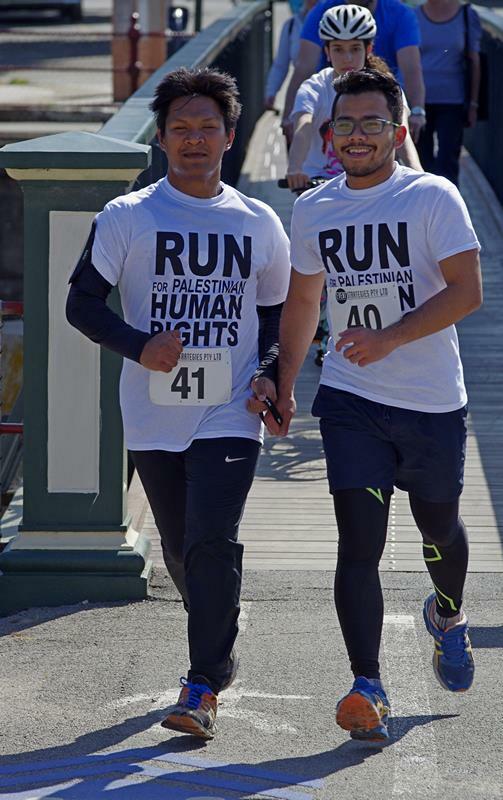 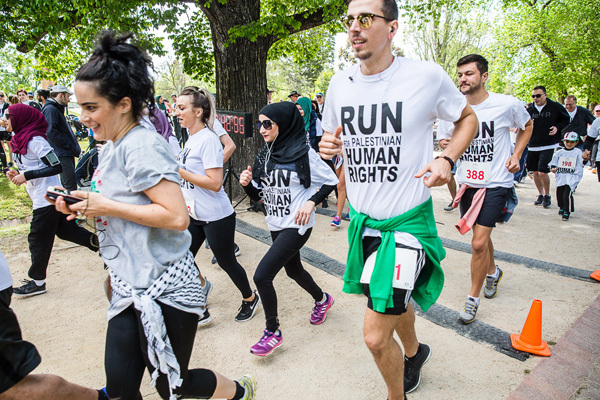 It was really uplifting to see both runs using the same T-shirts calling for Palestinian human rights and sporting Handala – the endearing Palestinian mascot who will never show his face until Palestine is free. 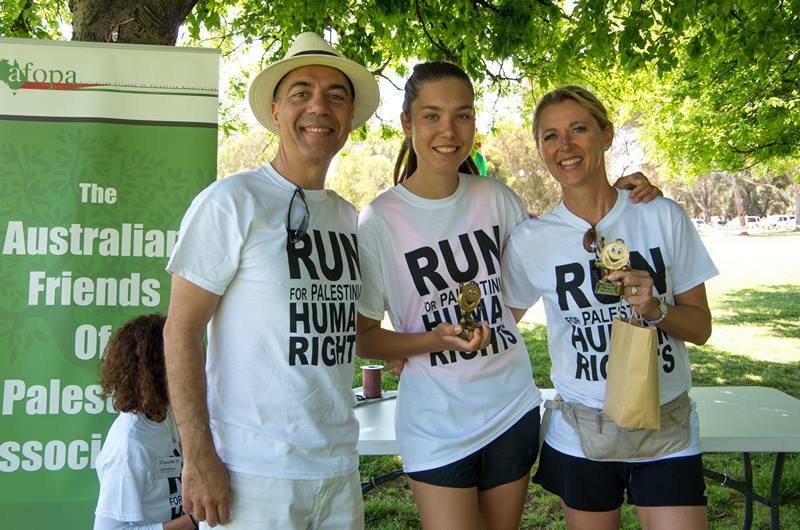 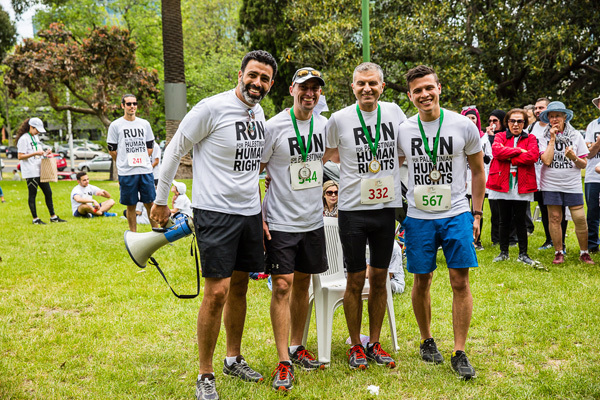 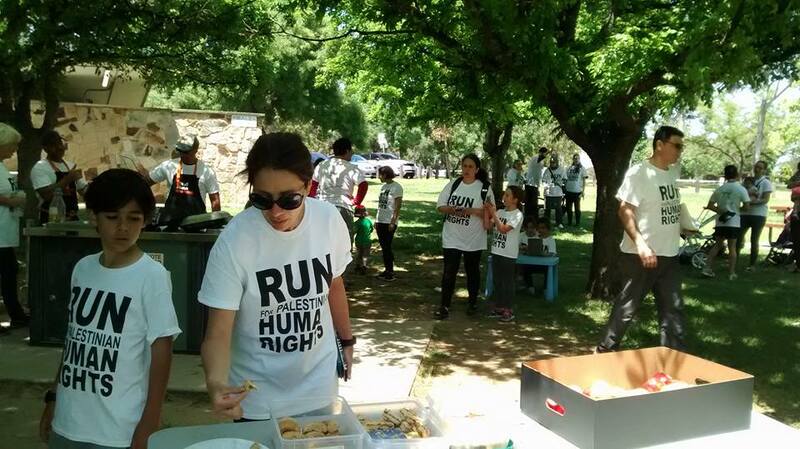 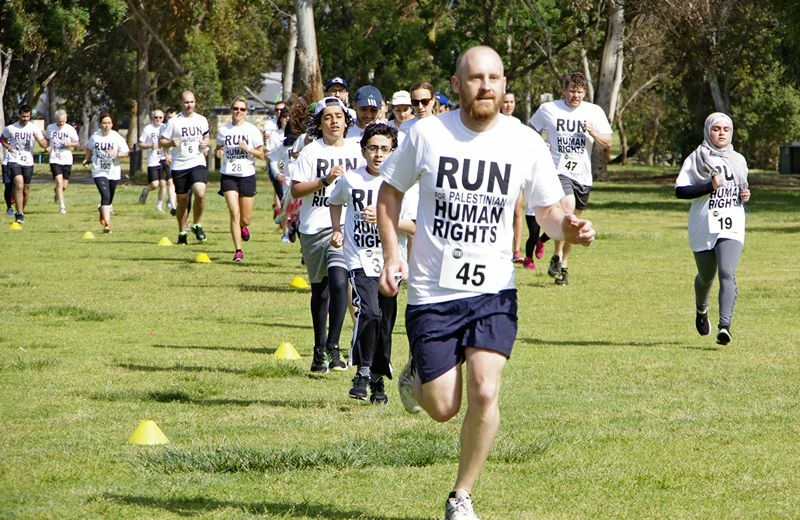 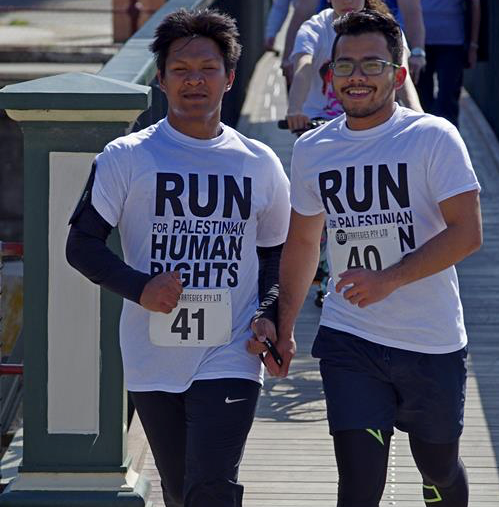 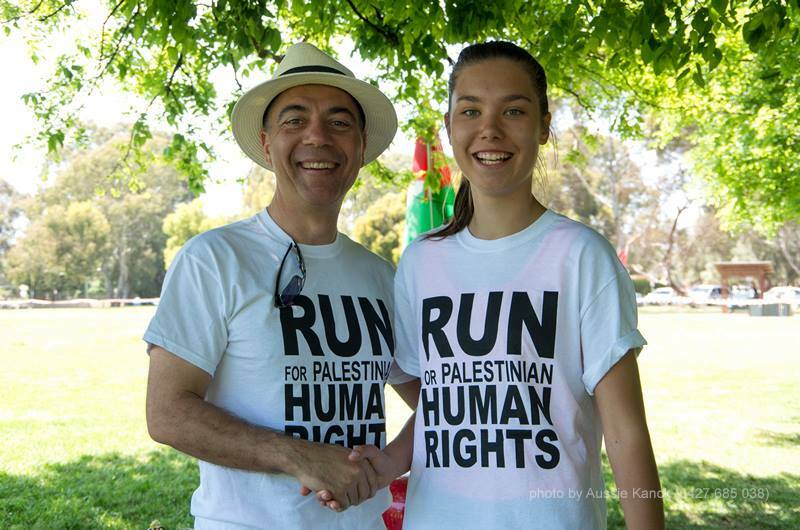 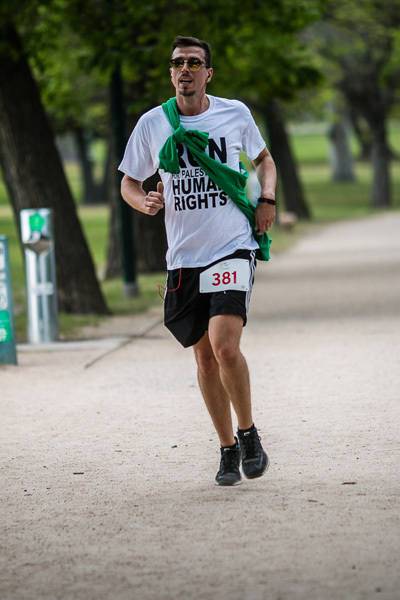 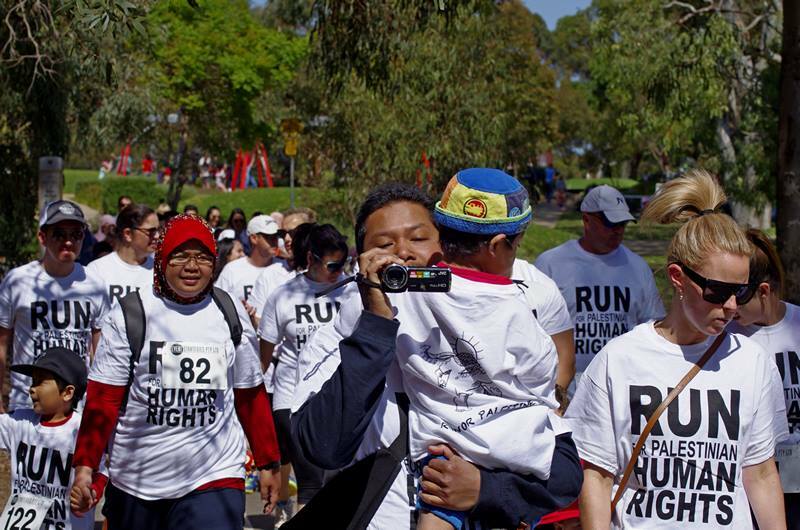 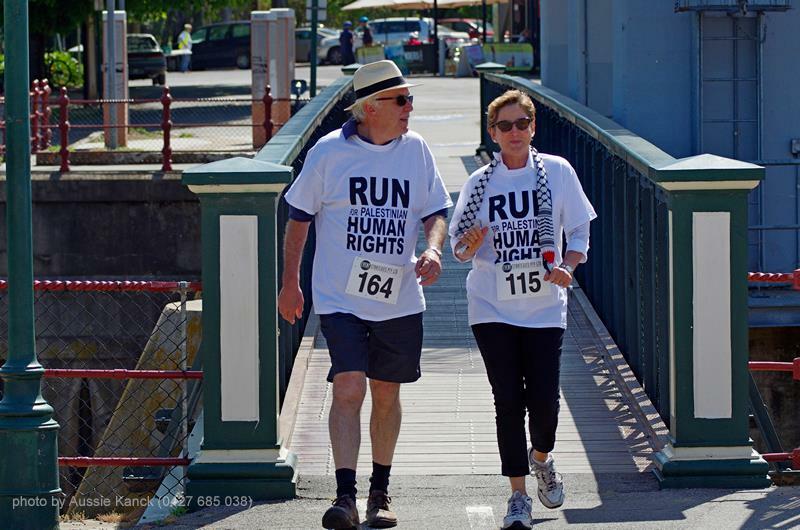 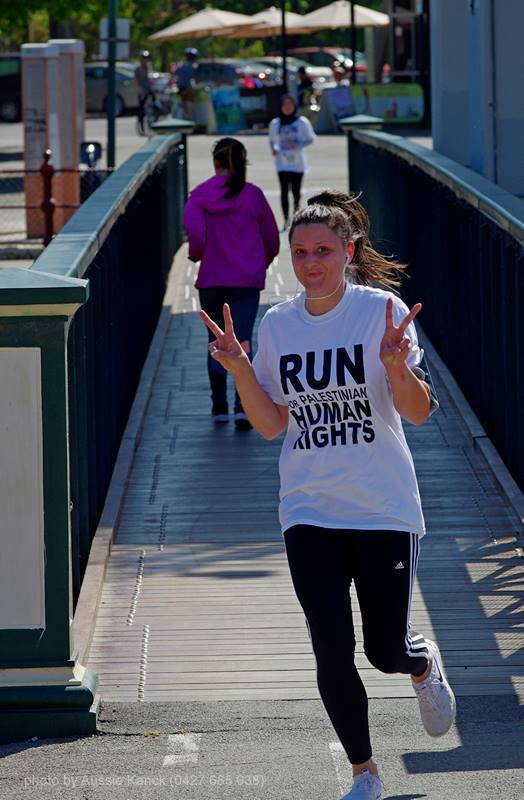 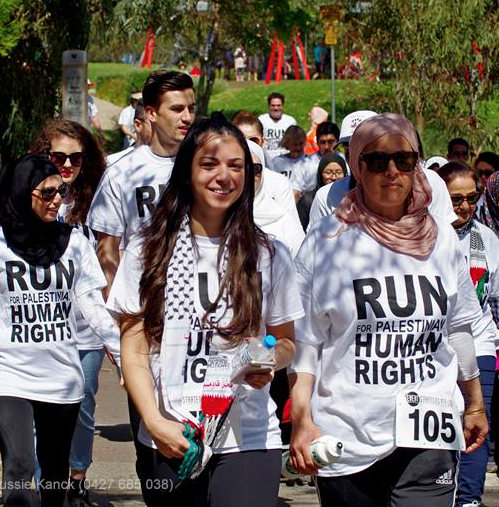 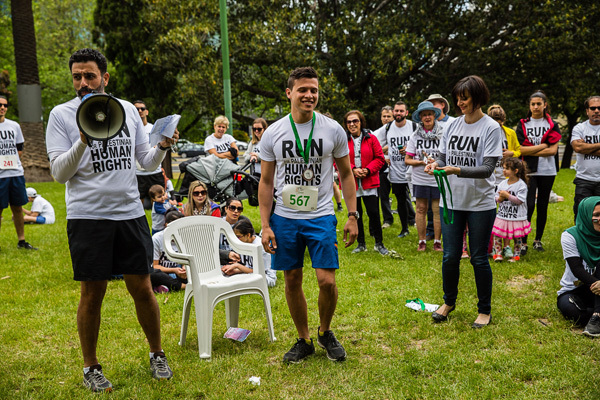 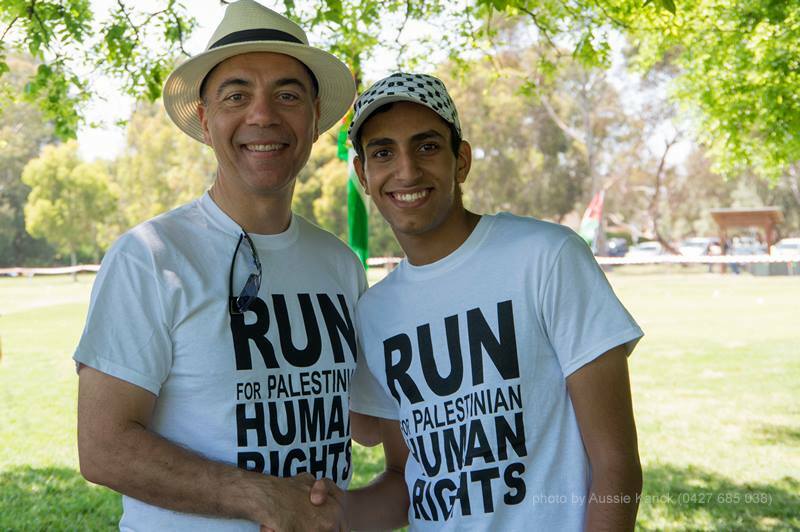 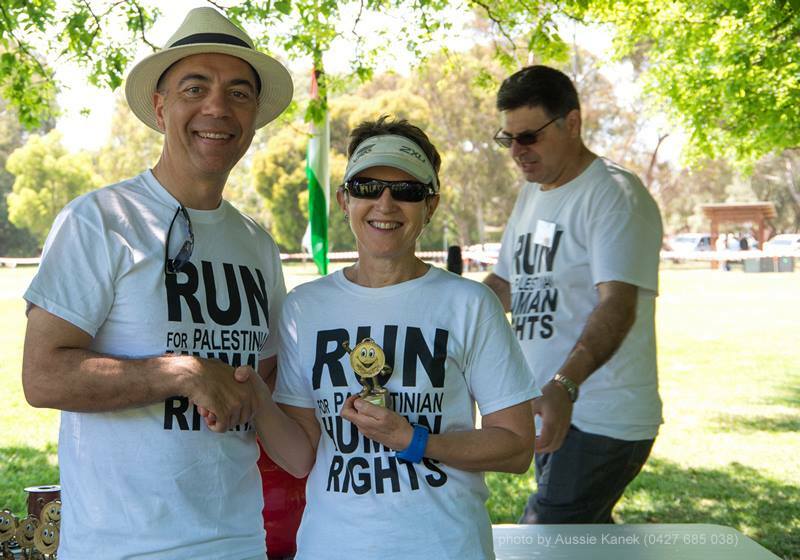 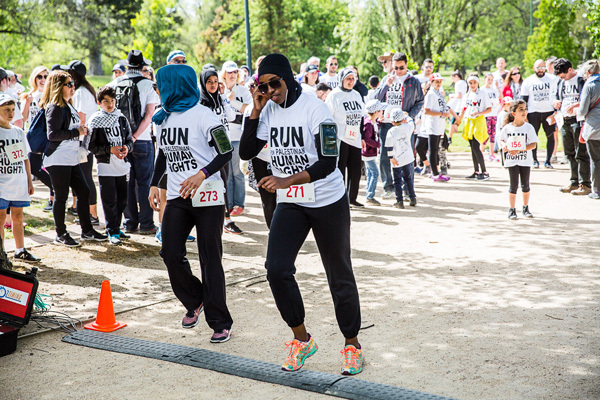 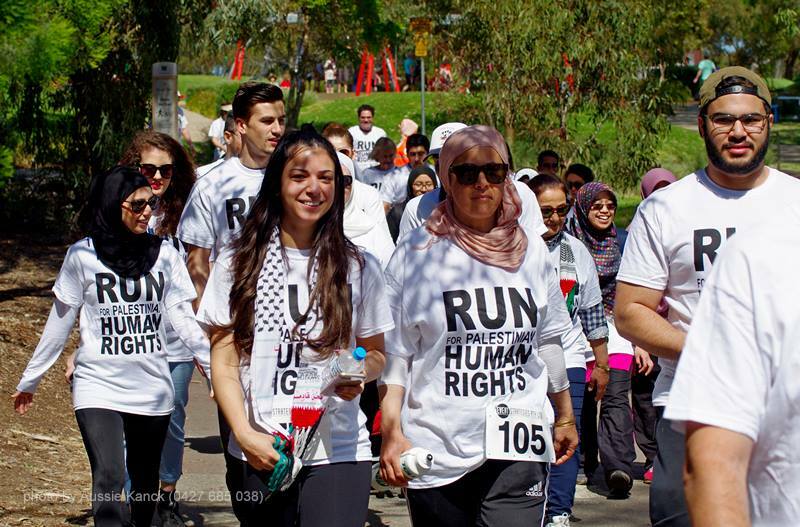 It would be a dream to see every Australian state take part and there is no reason it can’t happen here like the Run for Palestine in Canada and the Gaza 5K run in the US. Why don’t you follow us on Instagram under auspal_run where you can keep track of people running for Palestine all around the world including the annual Palestine Marathon in the occupied West Bank city of Bethlehem. 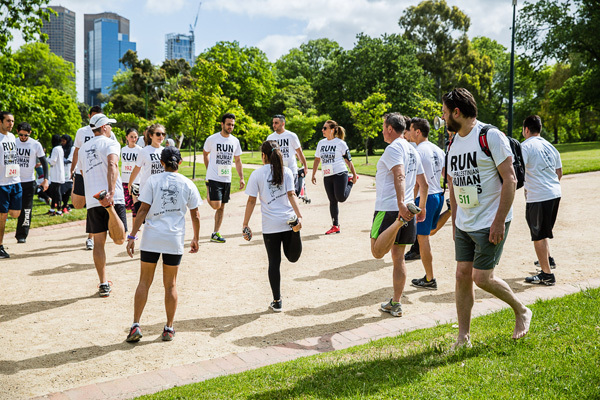 You might even join one of these runs wherever the next one takes place, but don’t forget the Oz runs in November 2017. 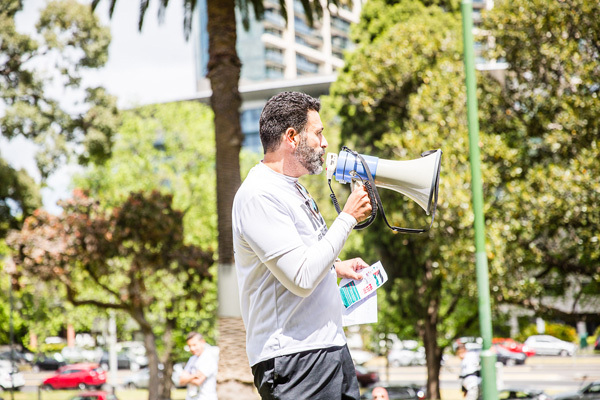 We will let you know when we have a fixed date and just to whet your appetite, we have some exciting surprises in store for you. 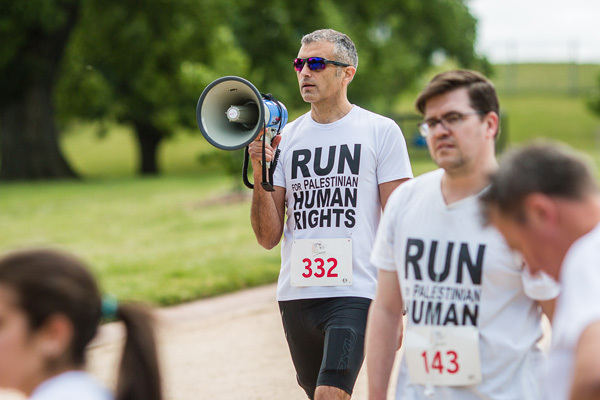 Next year marks fifty years of occupation which needs to be countered by people finding ways that highlight the daily injustices endured by millions of Palestinians. 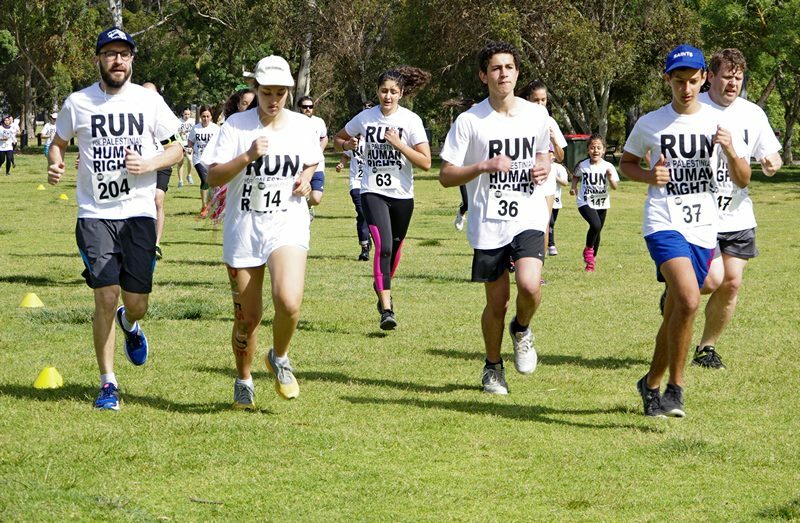 Let’s make the 2017 run an even bigger one! 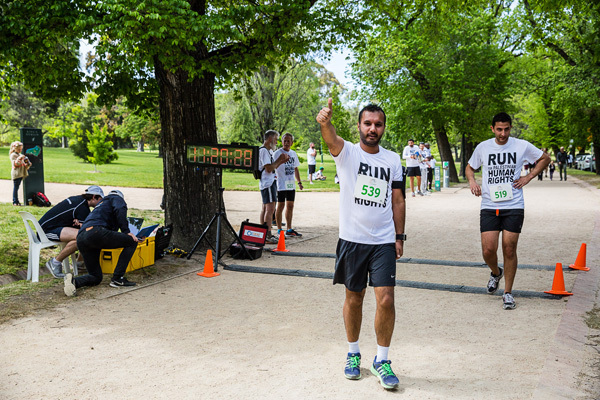 For all the results and times of your run in Melbourne, please visit the Oz Timing website. 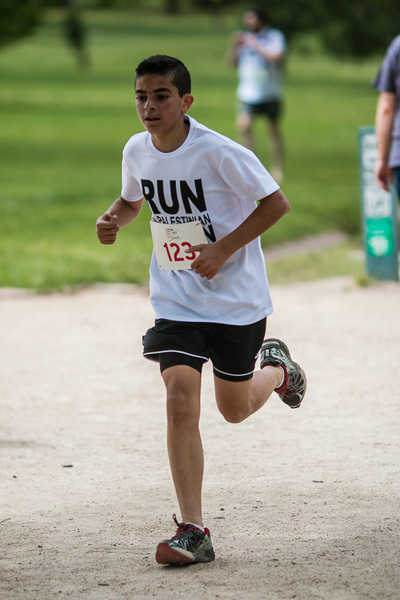 Photos of the day are posted below. 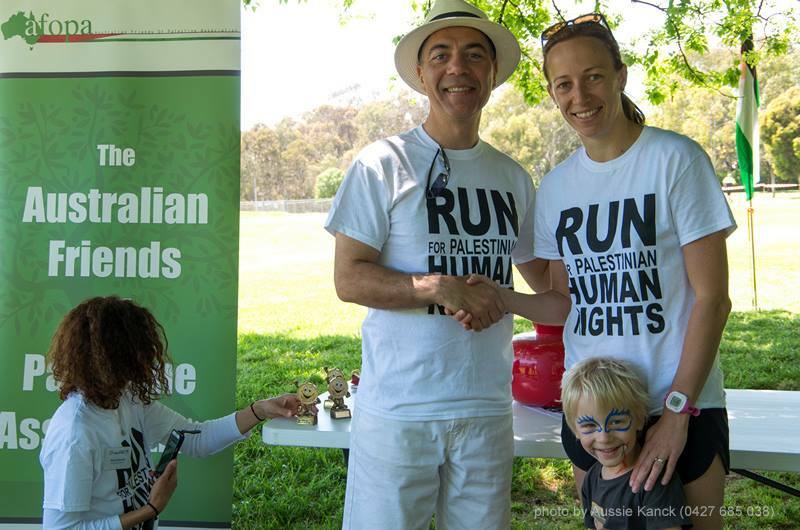 Thank you again for helping to make this Australians for Palestine’s highlight of the year.